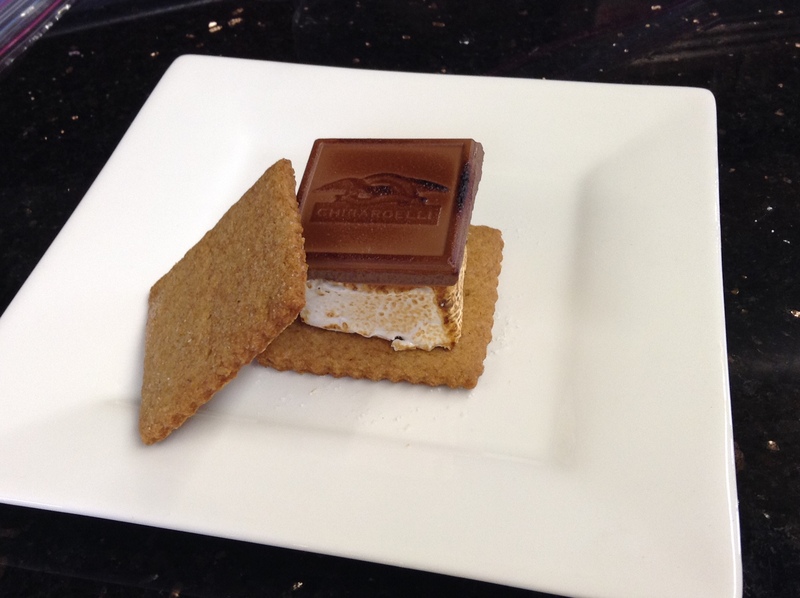 One culinary delight that goes hand in hand with summer is the s’more. There isn’t much better than the combination of crisp graham cracker, rich chocolate, and squishy sweet marshmallow all sandwiched together in delicious gooey chocolate mess! We’ve all grown up making and eating them, and the recipe is pretty standard, so how can you improve this classic campfire favorite? Make it from scratch! As with most things, homemade is better, and s’mores are no exception. We started by making homemade graham crackers. Graham flour gives these crackers their distinct taste- it is stone rolled and has a coarser texture and almost nutty flavor. 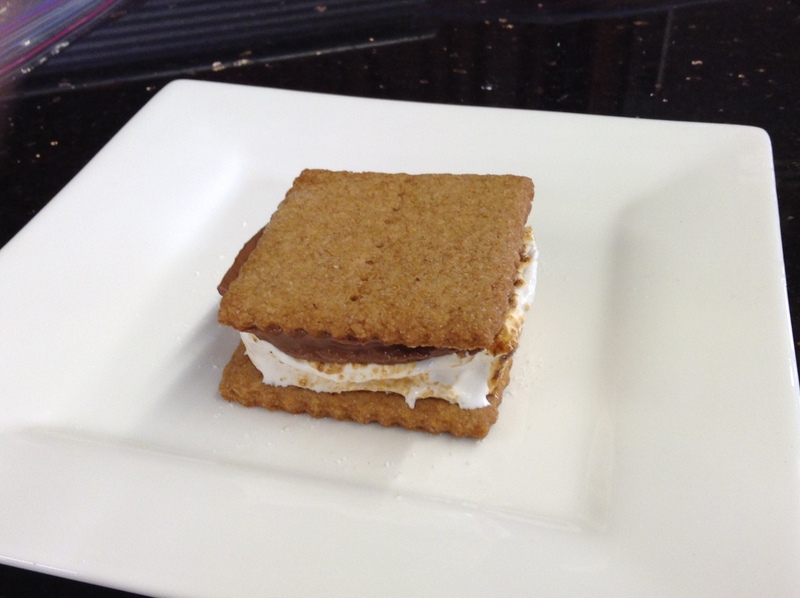 Sweetened with honey and rolled thin to give them crunch, these graham crackers made the perfect base for our s’mores. Next we topped them with oversized marshmallows made from scratch. 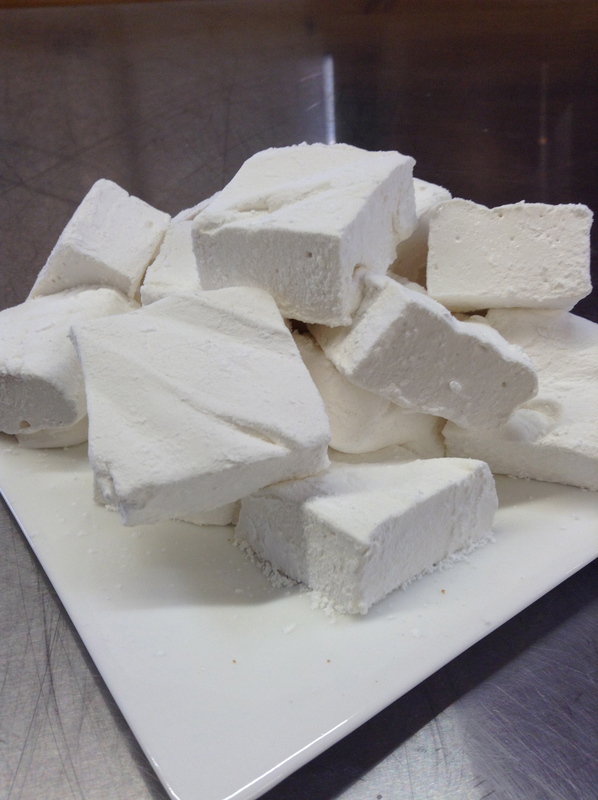 Once you make homemade marshmallow you will never want to settle for the dry, flavorless ones out of a bag. 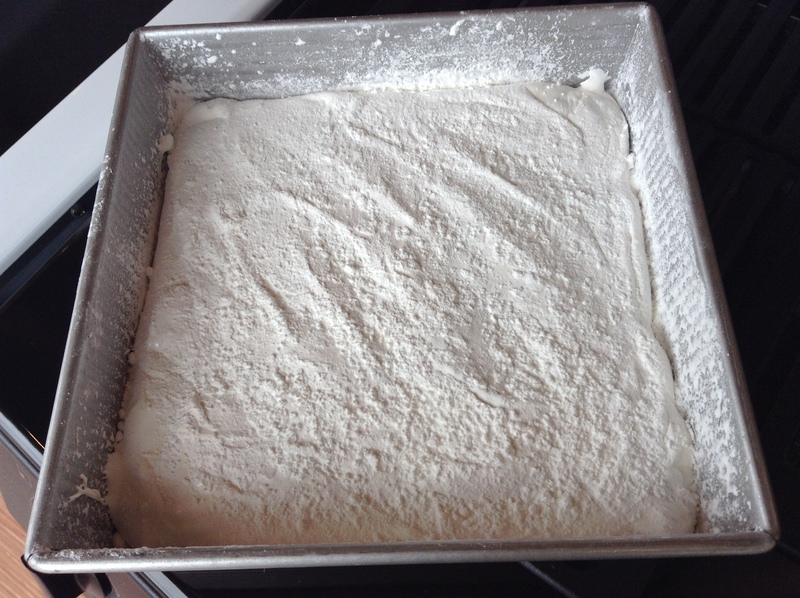 Homemade marshmallows are smooth, creamy, melt-in-your-mouth squares of billowy goodness. 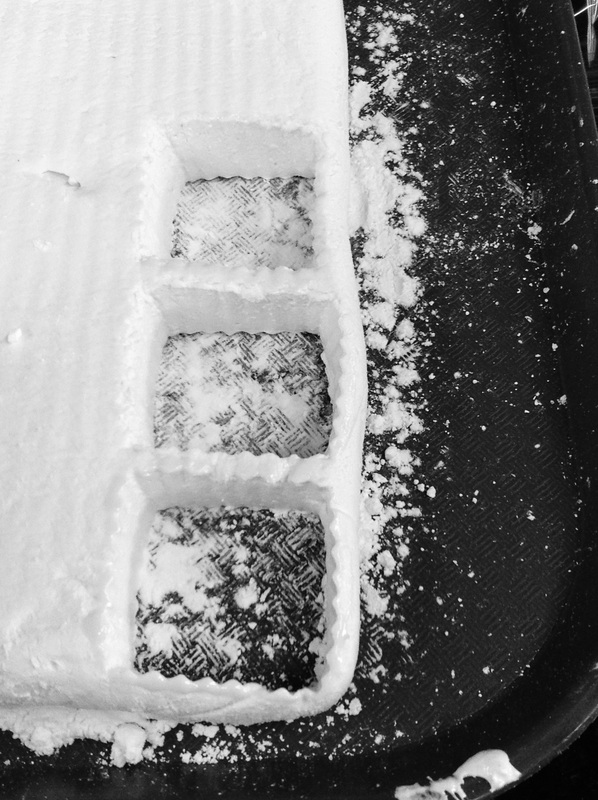 Sift together the whole-wheat flour, all-purpose flour, baking powder and baking soda; set aside. vanilla. Cover dough and refrigerate overnight. Spread with peanut butter, Nutella or marshmallow cream or simply enjoyed with a tall glass of milk, these crackers are a perfect snack. 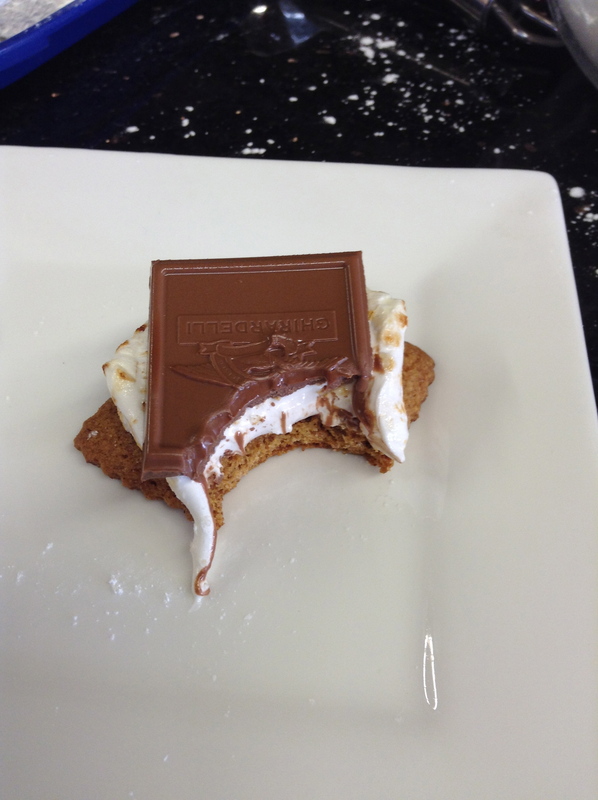 And they make the perfect base for a decadent s’more. 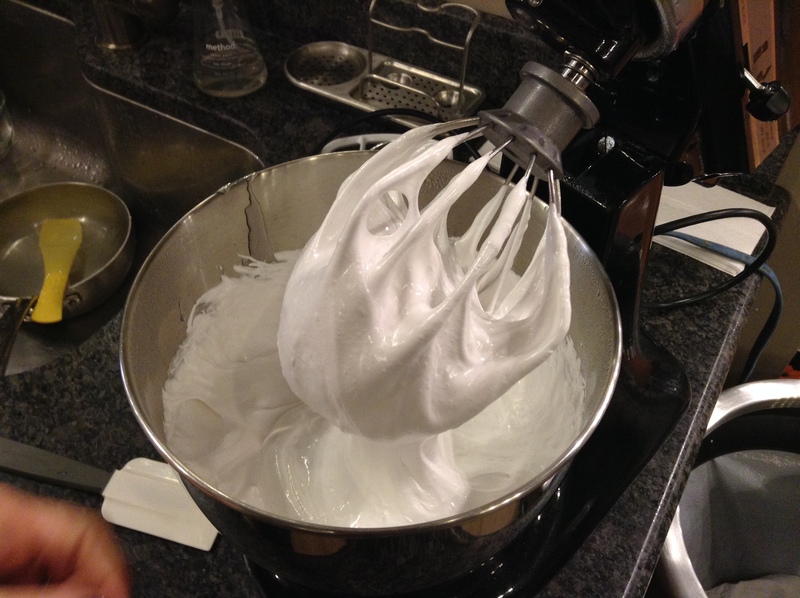 Because marshmallows are essentially whipped sugar, gelatin, and flavoring it is important to use a high quality vanilla. With ample high-quality Mexican vanilla these ‘mallows had a pronounced vanilla flavor that couldn’t be rivaled by any store-bought marshmallow. They are incredibly easy to make, especially with the help of our Kitchenaid mixer, which does the majority of the work. 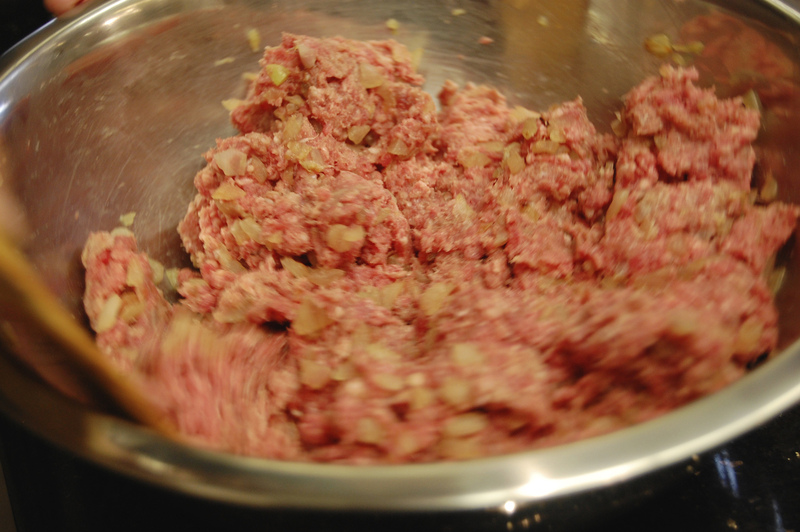 Start by reconstituting the unflavored gelatin with ½ cup of cold water in the bowl of the stand mixer. Let it sit while you mix the remaining ½ cup water, sugar, corn syrup and salt in a medium saucepan over medium high heat. 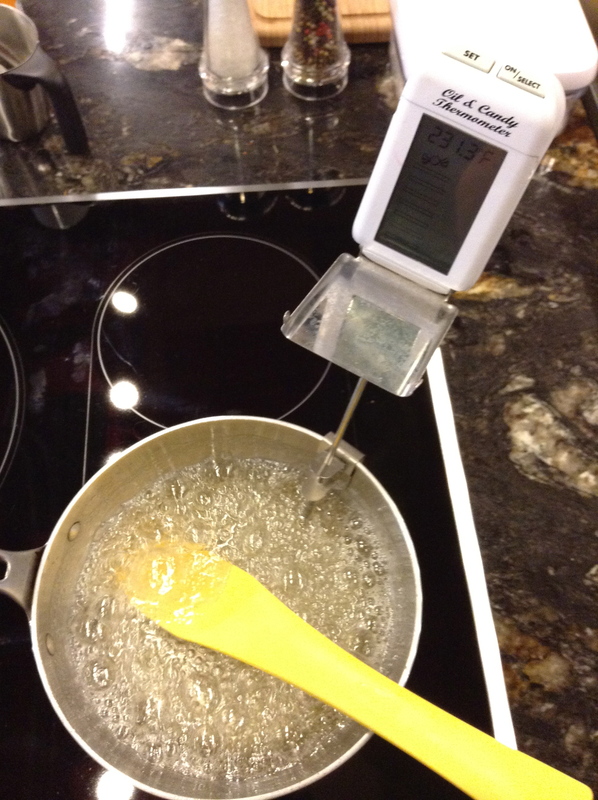 Using a candy thermometer cook until the mixture reaches 240 degrees. Immediately remove from the heat. Using a whisk attachment, turn the mixer on low speed and slowly add the sugar mixture down the side of the bowl into the gelatin mixture. 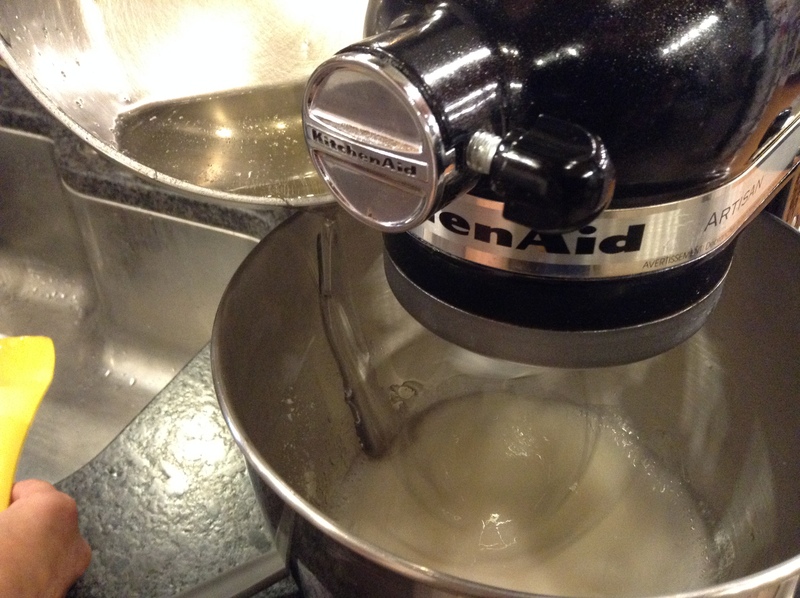 Once it is all incorporated increase the mixer speed to high. Whip on high until the mixture becomes thick and the bowl is lukewarm, approximately 15 minutes. Add the vanilla and whip for another minute. While the marshmallows are whipping, mix the corn starch and powdered sugar. Spray a 9x13inch pan with cooking spray and add the powdered sugar into the pan, making sure to cover up the sides as well. Shake the pan around to evenly distribute the cornstarch mixture and dump the remaining back into the bowl. 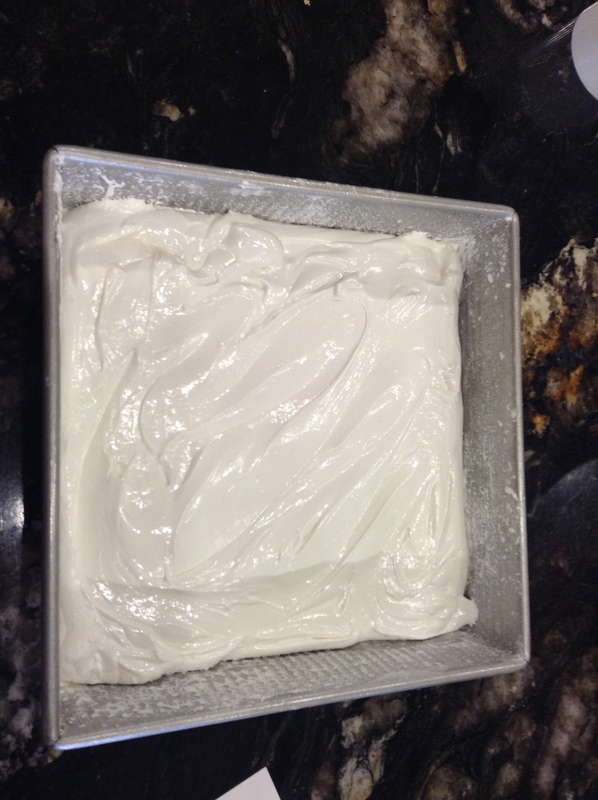 Spread the marshmallow mixture into the prepared pan and spread using a spatula sprayed with cooking spray. Dust with enough cornstarch mixture to cover. 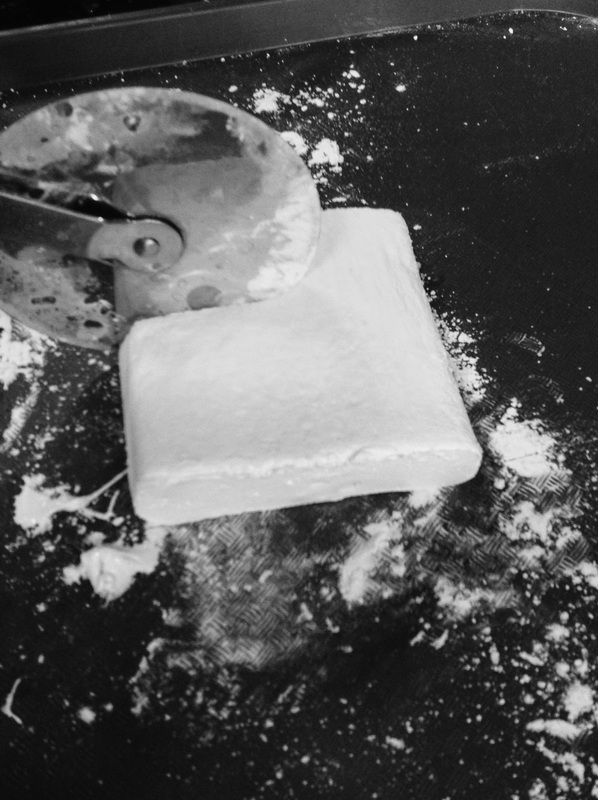 Turn the marshmallows out onto a cutting board and cut into squares using a pizza wheel dusted with the cornstarch mixture or sprayed with cooking spray. Lightly dust all sides with the cornstarch mixture. 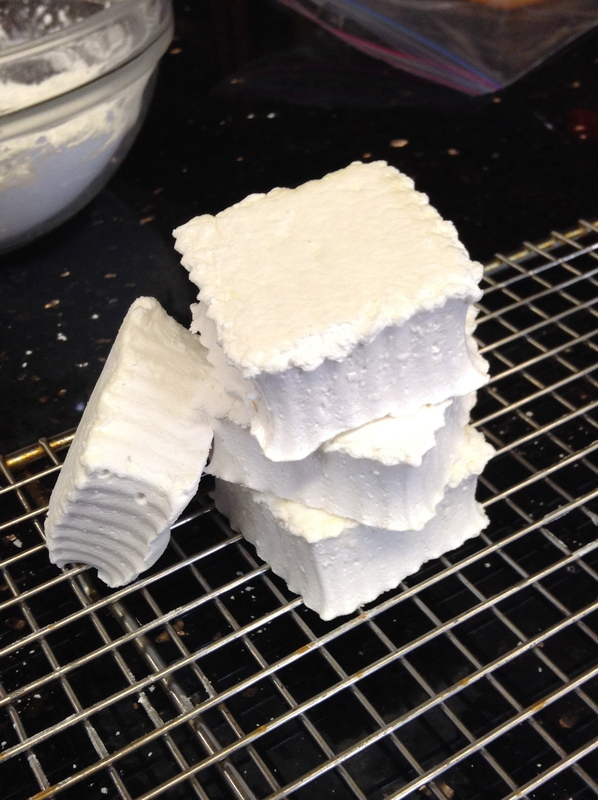 These marshmallows can be stored in an airtight container for 3 weeks. If they last that long! We can’t wait to make some more marshmallows using cute cookie cutters and various flavors and toppings. How cute would they be on top of a cup of hot cocoa with peppermint flavoring. Or maybe dyed pink and cut into heart shapes, with the edges rolled in pink sanding sugar for Valentine ’s Day. The possibilities are endless! ‘Tis the season of ripening gardens! Be sure not to let any of the earth’s fresh goodness and your summer laboring go to waste! I’m calling out to the amateur gardeners and the first time canners. The task of supplementing your winter pantry is not as hard as you may first think. 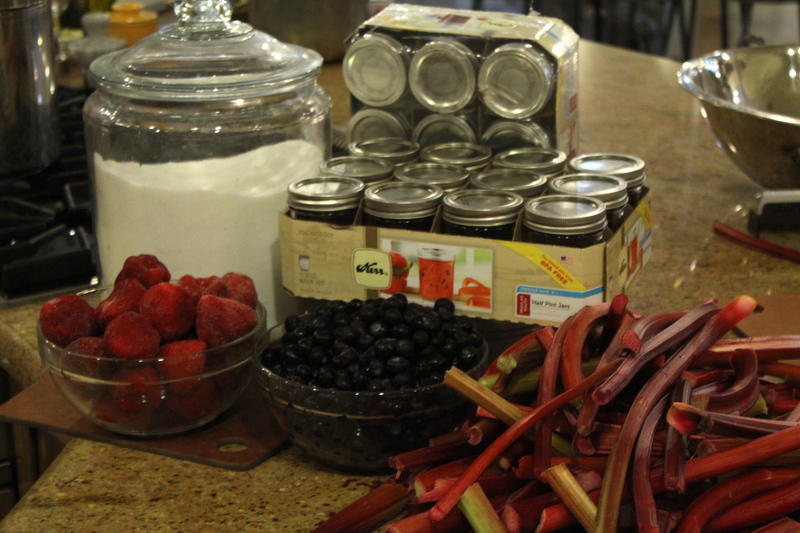 So here I’m passing along to you the basics of canning - courtesy of Wasilla’s Chef Lucy - with Alaska's most abundant crop - rhubarb. What you’ll need: a water bath canning pot, a jar rack or basket, a case of jars, some low sugar pectin from the grocery store, and your garden’s rhubarb. 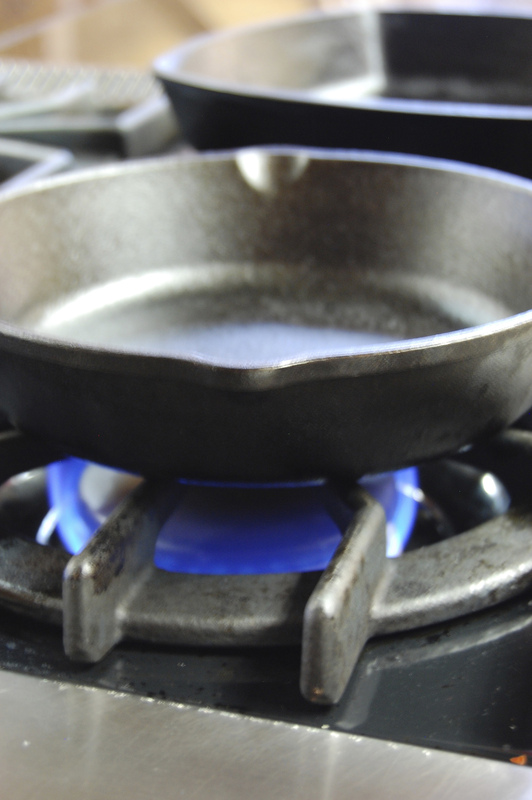 Begin by filling your water bath about half way full and turn up the heat to bring water to a boil. Wash and chop the rhubarb into pieces - about an inch long. Drop them into a stockpot with a fourth or so cup of water, regardless of the amount of rhubarb since it will cook down and seep out into a juicy substance. 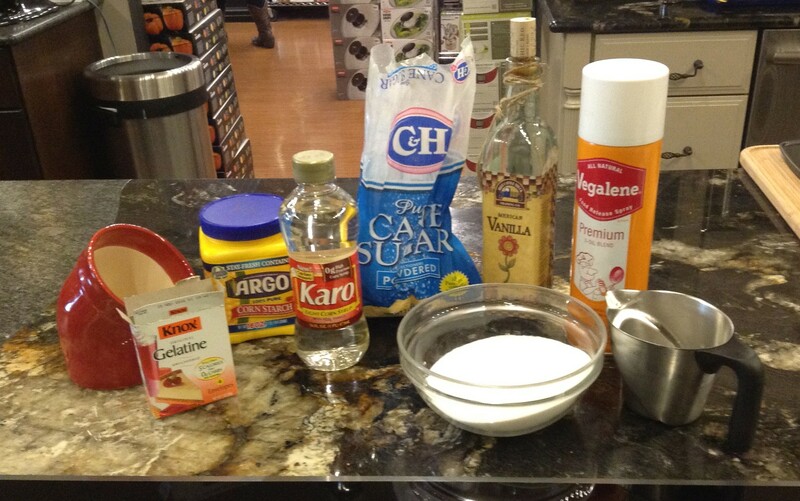 Also add in sugar to taste, or as according to the pectin’s directions. For a flavor twist, throw in fresh or frozen fruit, like strawberries or blueberries. 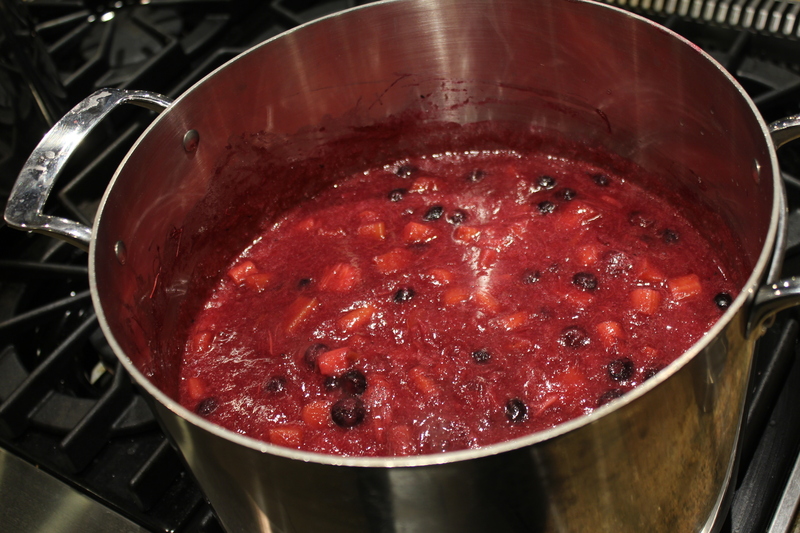 Once the fruit is as broken down as desired and boiling, add your pectin to act as a thickener. Stir to incorporate and dissolve, then bring back to a boil. 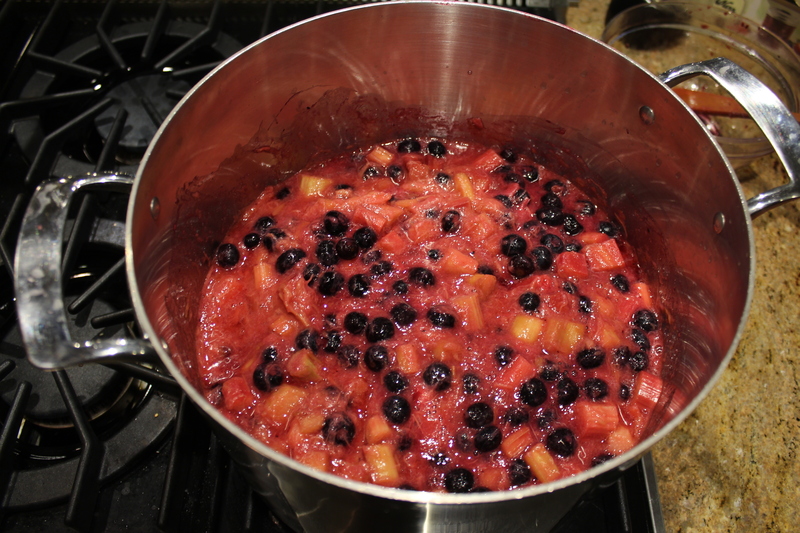 Allow the fruit to simmer for about five minutes. And just like that, you are ready to can! You can warm your clean jars first, in your water bath, but Chef Lucy recommends placing the jars on a cookie sheet and warming them in a 200-degree oven for about ten minutes. 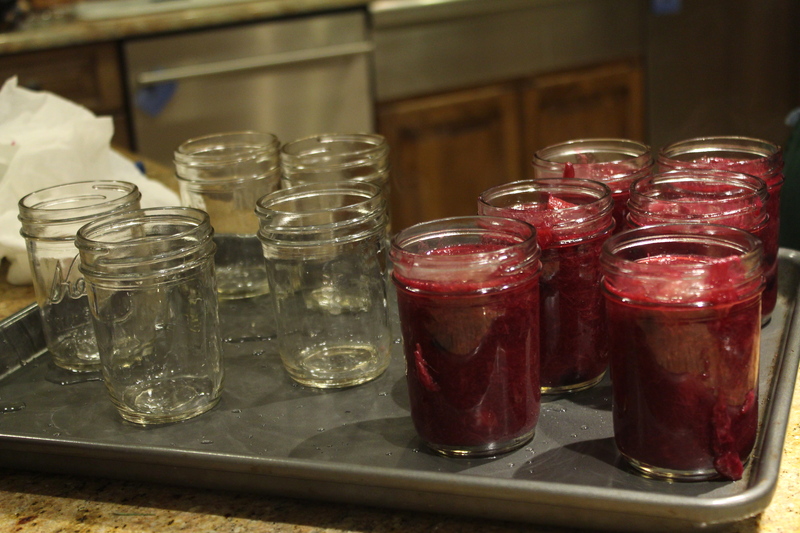 Next, use a large funnel if you have one, or just ladle the fruit into your jars. 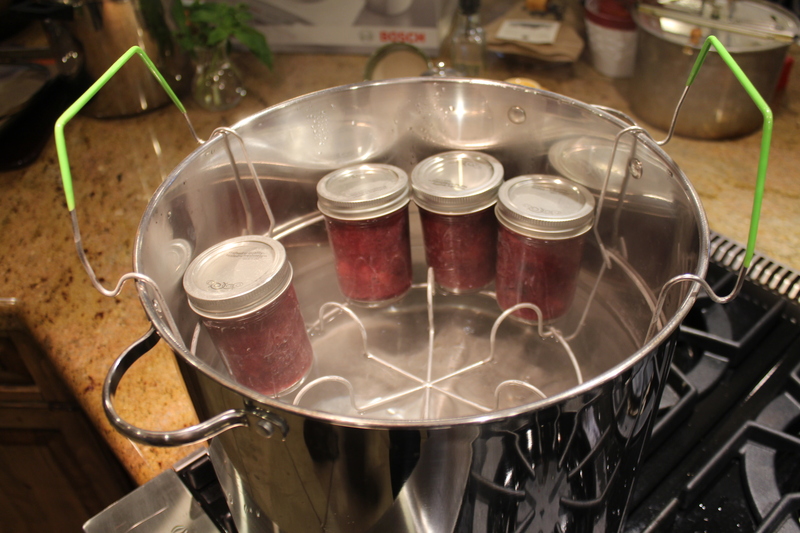 After checking that the lids are clean and dry, twist the jar lids on and you’re ready to lower them with the canning rack down into the hot water. Let them be in the covered water bath for 25 minutes. Lastly, remove the jars carefully from the pot, we suggest using a jar lifter as the lids and glass will be HOT!, and set them aside until cool. Now you’ll hear the popping of the lids and know the job is done. Viola! 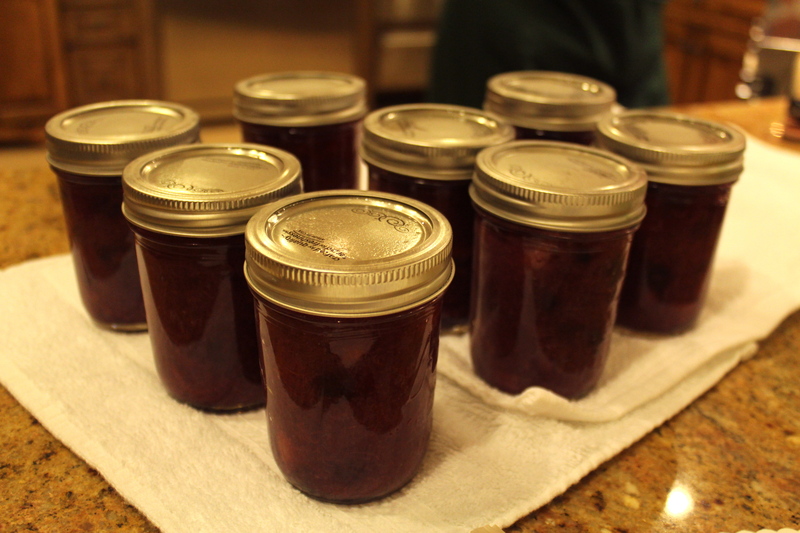 You now have accomplished the basics of canning. 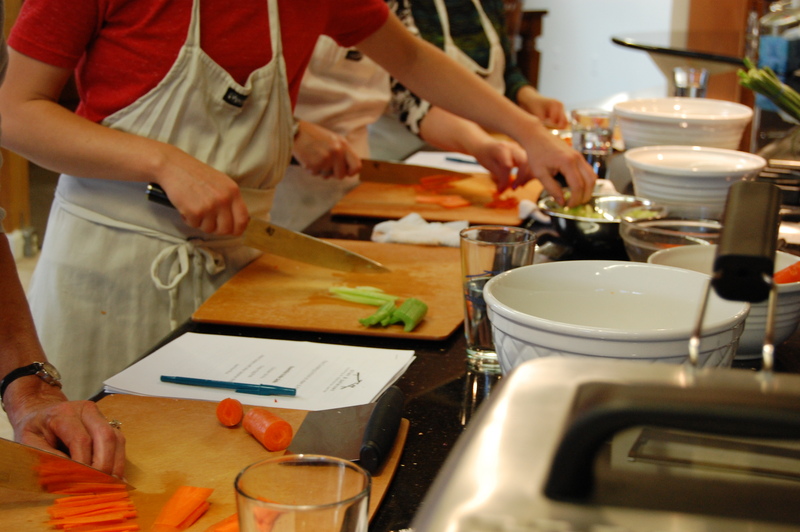 For more, check out the Cooking School’s schedule for Chef Lisa's Cure Jam & Pickle Class. You can also explore other exciting flavor combos and current tips for preserving in one of our favorite cookbooks, Canning for a New Generation. We’ve all heard this phrase about ten thousand times. But why think outside the box when you can think about what to put inside of it? A big trend over this last year has been making foods more interesting and changing sizes and shapes seems to be the most popular. The Rice Cube is one of the best gadgets you could buy to make fun, inventive appetizers and even add-ins for main dishes. 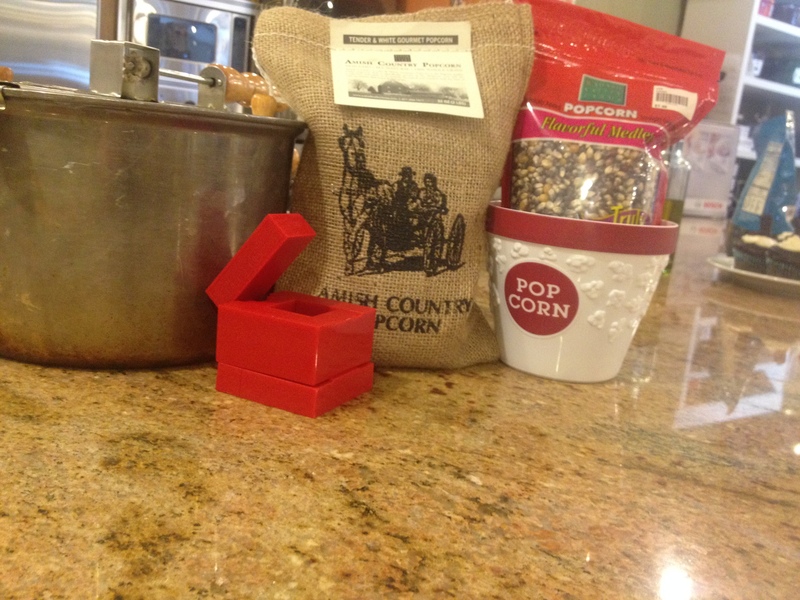 For example, one fun new thing I discovered was a popcorn cube. I used the sweet popcorn glaze recipe from jensfavoritecookies.com as the binding agent and it also gave the popcorn that nice carnival flair. 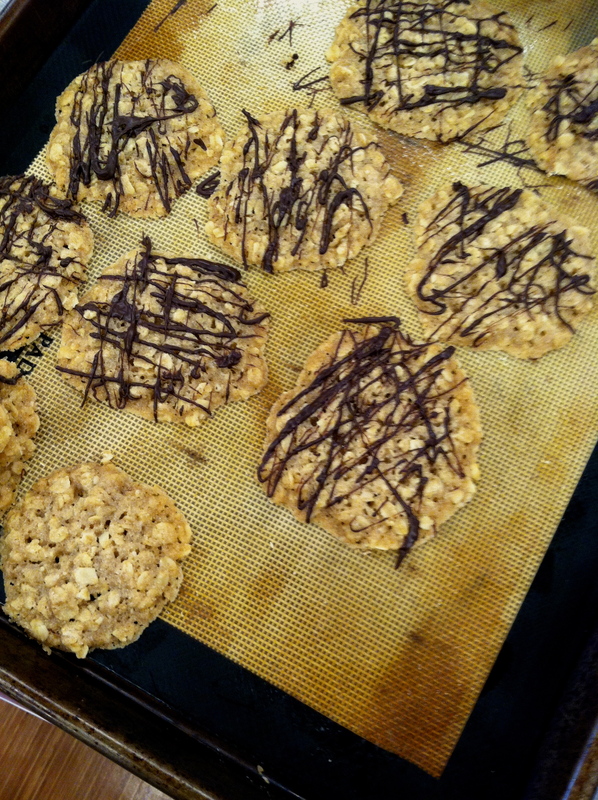 It was probably the easiest snack I’ve made, plus it was fun! You can take just about any pliable food, (cookie, brownie, fudge, hamburger, or sausage) follow the simple Rice Cube process and create something that will wow your guests but also allow them to have a great time making it themselves. In the culinary world, presentation and appearance is often valued just as highly as taste and texture. Sushi is becoming one of those foods that everyone wants to make. It's beautiful, tasty, cultural and always a crowd pleaser. It can, however, be tricky to make: there are mats, paddles, and specific rice to use. Most times the whole process kind of throws people off, for some it takes too long or they just cant get the hang of it. 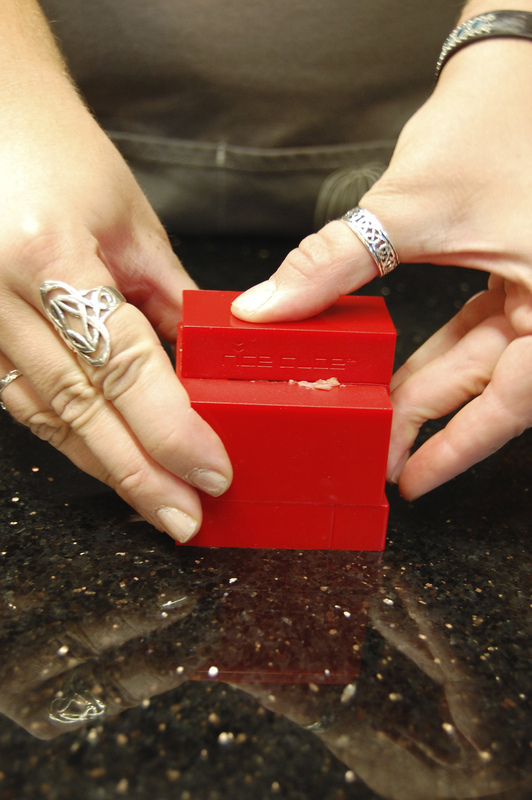 The Rice Cube is specifically geared toward making sushi. Not only is it simple enough to do that 3 year olds are making their own sushi, but its fantastic for those picky eaters who want to know exactly what goes into their food. 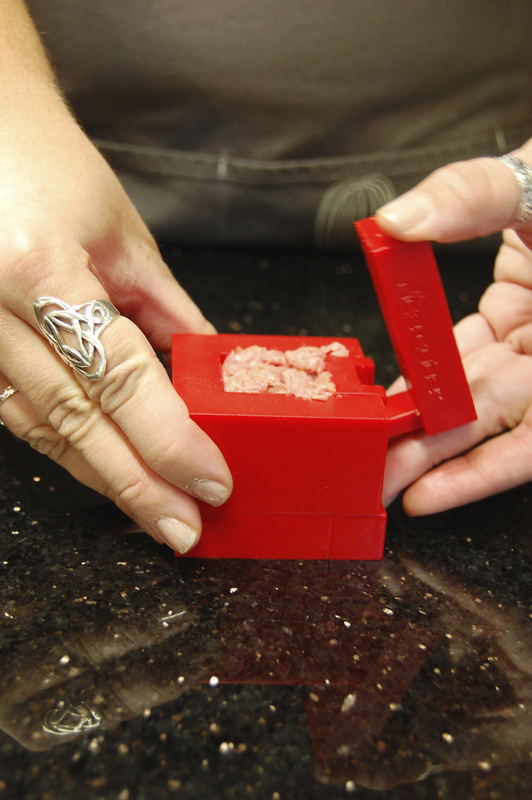 With the rice cube you could have a DIY (also a big fad) dinner party, and everyone would be satisfied. And not to mention all the compliments for being the most creative host/hostess out there. 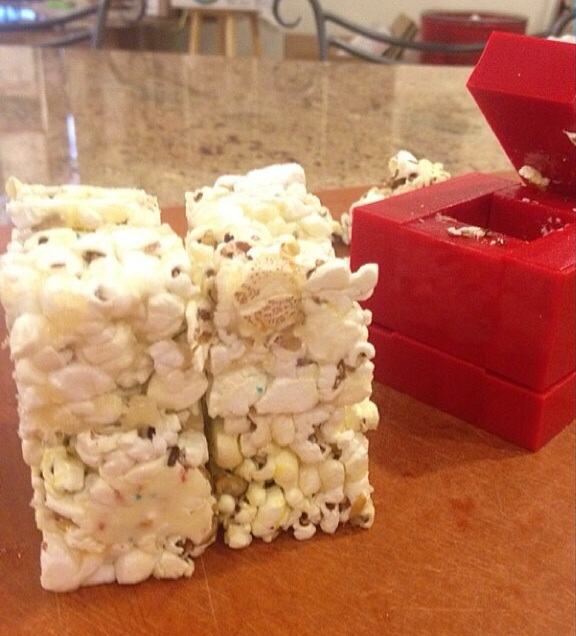 If you’re creative, or just looking for a fun way to make little snacks and things, then the Rice Cube is for you! Check out their website for videos and yummy fun recipes you can make with you own Rice Cube. Stop in at the Wasilla store for a demonstration and purchase. As we find ourselves in the kitchen, whether it be as schooled professionals or the self proclaimed top chef, there are certain products we each become attached to. For me, it’s Kitchen Aid mixers over the Bosch, or metal measuring cups instead of plastic sets. 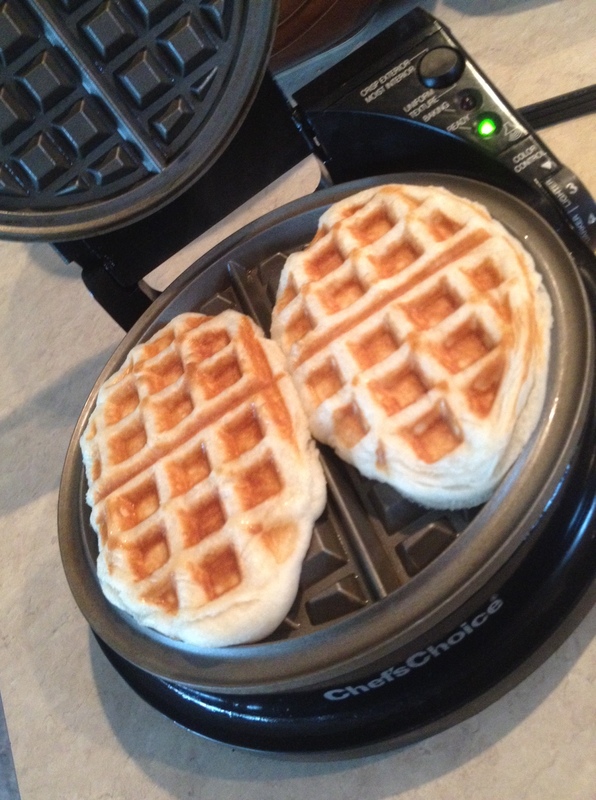 While there are a great many tools, products, and brands that I am partial too, there is only one tool that I am irrevocably in love with right now: the Chef’s Choice round waffle iron. I can’t even put into words how awesome it is. 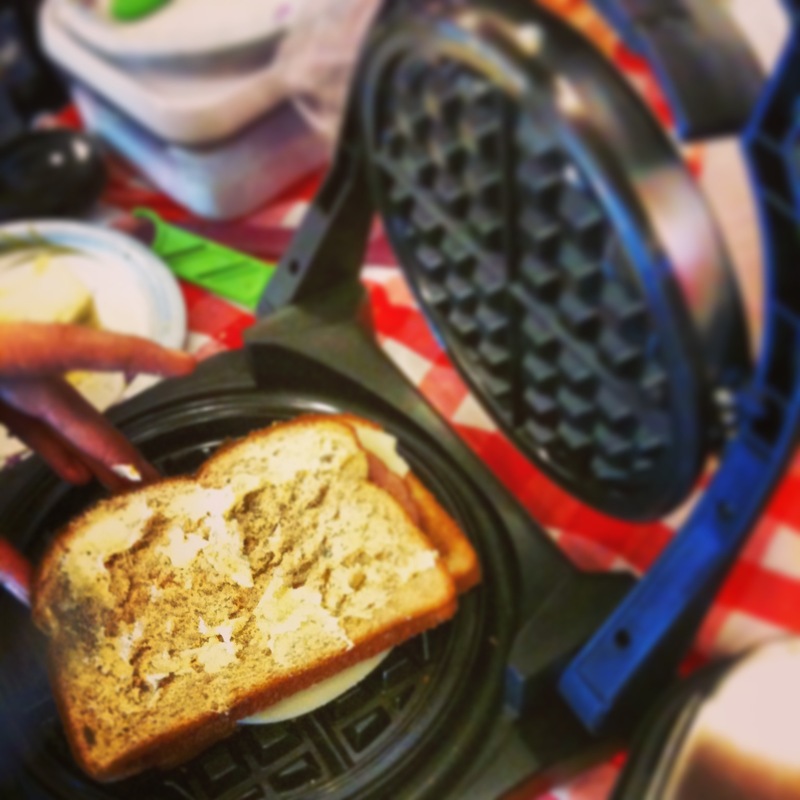 I know you’re thinking, “its just a waffle iron, there’s not much exciting about that” but you would be oh so wrong. The options are amazing, and endless. You can do a full breakfast with hash browns, French toast, fried eggs, or omelets, bacon (perfection in itself) and of course the many types of waffles. Then there are the mouth-watering lunch or dinner dishes; pizza, calzones, grilled cheese, homemade tortillas and of course the fajita fillings. 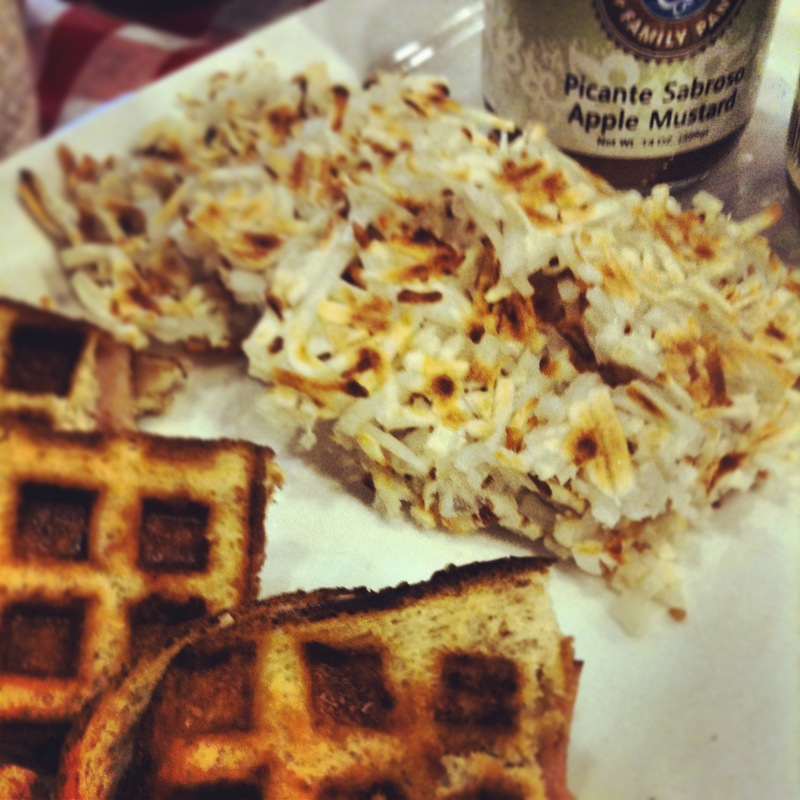 All of this, with just one waffle iron. Now if that hasn’t convinced you to run to our store and buy every kind of waffle iron available then how about this: every classic comforting dessert can be done in the Chefs Choice iron. 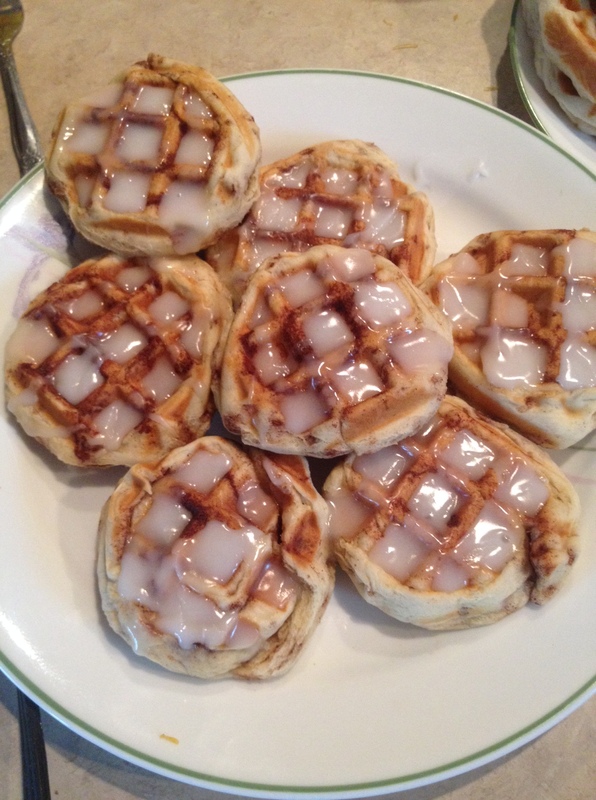 I loved the way my cinnamon rolls turned out, perfectly soft, and rather than icing running everywhere it stayed in all the squares, making each bite its own level of perfection. So much less mess and more convenient to grab-n-go on your way out the door. Cookies, brownies and even cake mixes can all be used as well. 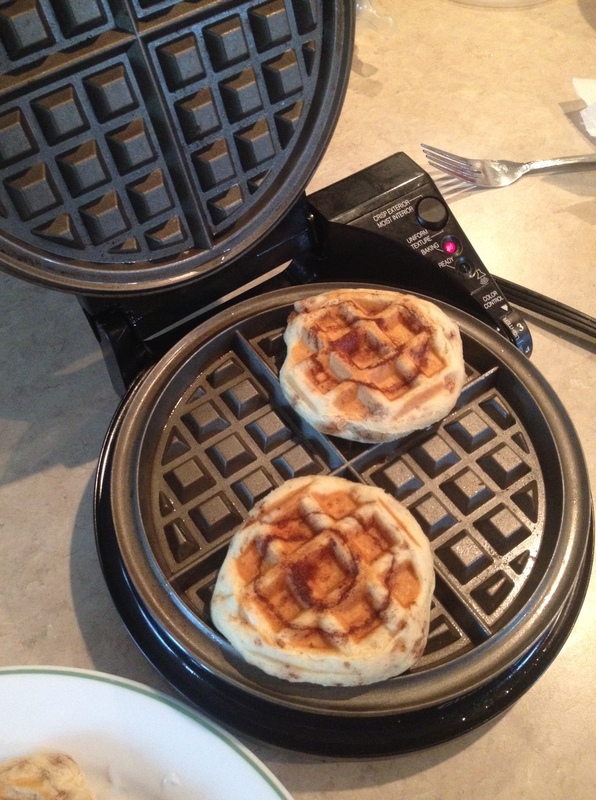 The waffle iron is the perfect size and it is nonstick, so you just wipe it out with a paper towel when you’re finished. 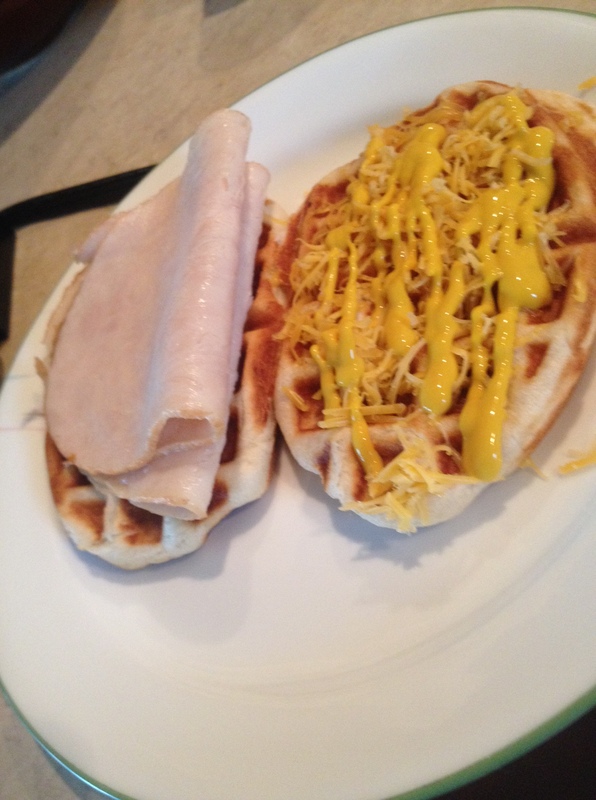 Trust me on this, I’ve been on a waffle iron kick this past month and I have yet to be disappointed with the Chefs Choice round Belgian Waffle Maker. Stop by the Wasilla location for demos and purchase! Shopping for a knife is not only an investment, it can also be a bit intimidating. 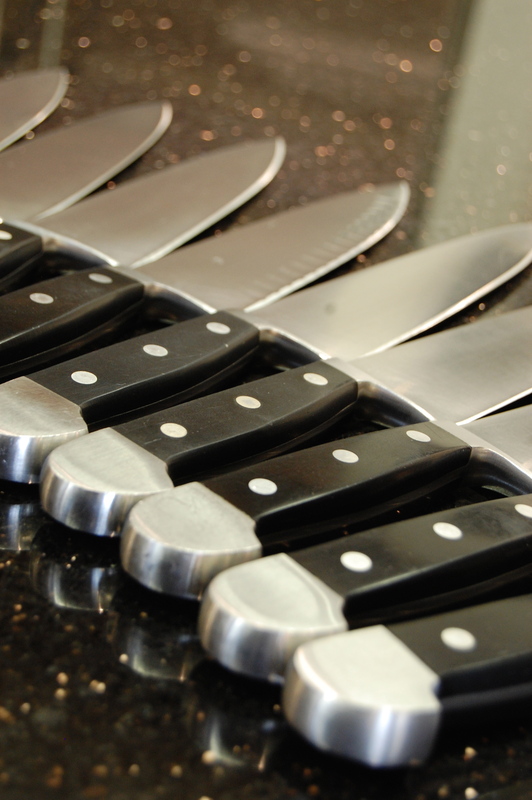 Jumping into a huge purchase, like a large knife set, can be daunting when you don't know whether you'll even like the knife line. Whether you are selecting your first cutlery, upgrading, gifting or just adding to your own set, here are some tips from our Cooking School Coordinator, Chef Lisa Chang on making this serious selection. For starters, Chef Lisa suggests that the two basic 'must-have' knives for any kitchen are a 6-9 inch chef knife and a 3-4 inch pairing knife. The average home chef can make just about every cut necessary with one or the other, so begin here and find out what works for you, your style of cooking and your expectations for a quality kitchen knife. As you discover your preferences, you can add pieces to your set and build your collection from various lines, styles and materials. 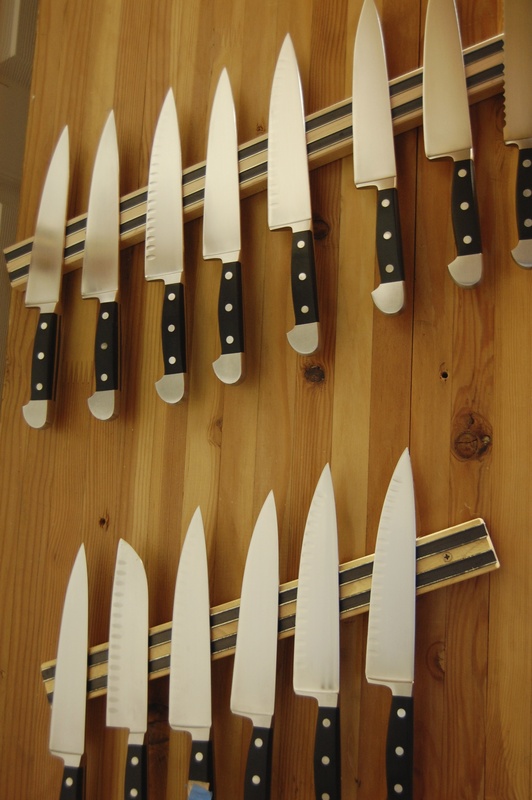 Chef Lisa suggests, "There are several important elements to choosing a knife. When it comes to the handle style, make sure the form of the handle fits comfortably in your hand. 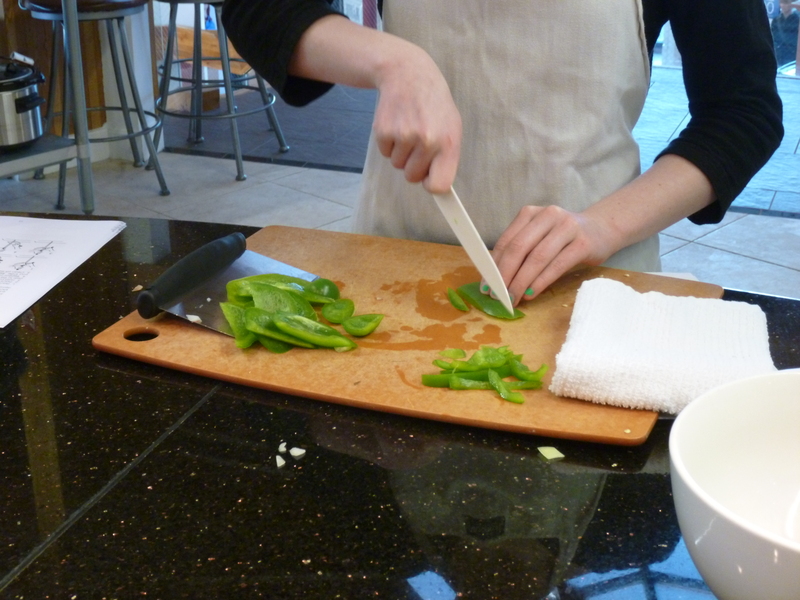 Grip the handle in your hand and mimic a chopping motion. If you find that your hand doesn't have to adjust too much to grip the handle properly." This will indicate a comfortable handle once the work gets started. "Also," she notes, "make sure that you can see the steel material of the knife coming through the handle to the back and look to see that there are three bolsters through the actual handle." This not only acts to secure the blade, "it is important for the balance of the knife. You should be able to hold the knife flat with one to two fingers at the neck of the knife without it tendering." "Now that you’ve got the handle style picked out, think about how much you use your knives. The most important part of caring for your knives is keeping them sharp. A sharp knife is a safe knife. So now when choosing the material for your knife, you have to ask yourself how much time you are willing to give to maintaining your knives." "There are several different combinations of materials used in the blades of knives. The harder German steel knives take a lot more time to sharpen then a softer Japanese steel knife. With a harder steel knife, once sharpened the sharp edge will last a lot more cuts." "With a softer steel knife though it is easier to sharpen you will have to sharpen them more often." 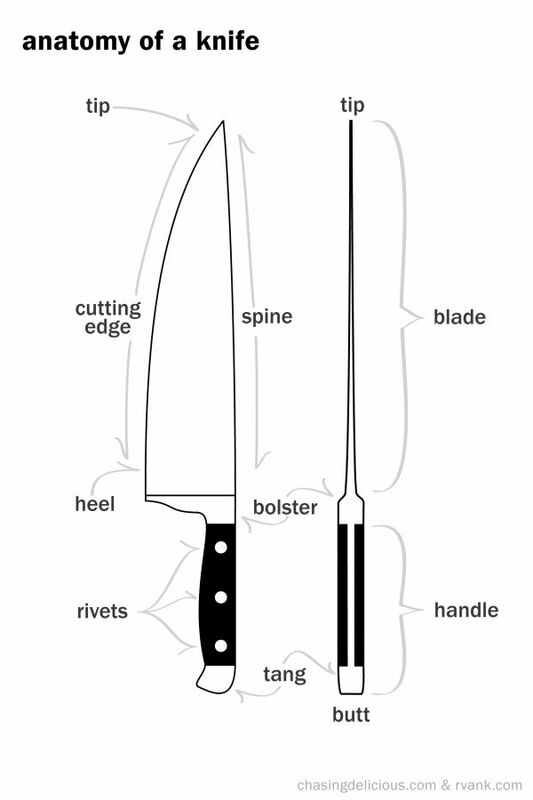 "Most of the big brand name knives come with instructions on how to properly sharpen the knives (including the angle), and it is important that you have the proper sharpening tools to sharpen the specific steel your knives are made from." A ceramic blade is also a consideration in knife material, and while it keeps an edge longer than a metal knife, it is sharpened differently than a steel blade would be. Kyocera, for example, suggests you send your knives back to the manufacturer for sharpening, so while the process takes place less frequently, it is important to plan the time needed for sharpenings. Once you've selected your knife, it is important to keep it in good working condition. "It is up to you as to how much time you have to care for your knives. If you don’t really have the time and skill to sharpen your own knives you can always take them to a knife sharpener. " Again, this is an investment and proper care will not only make sure your knives perform properly, it also means safety and satisfaction for the user. 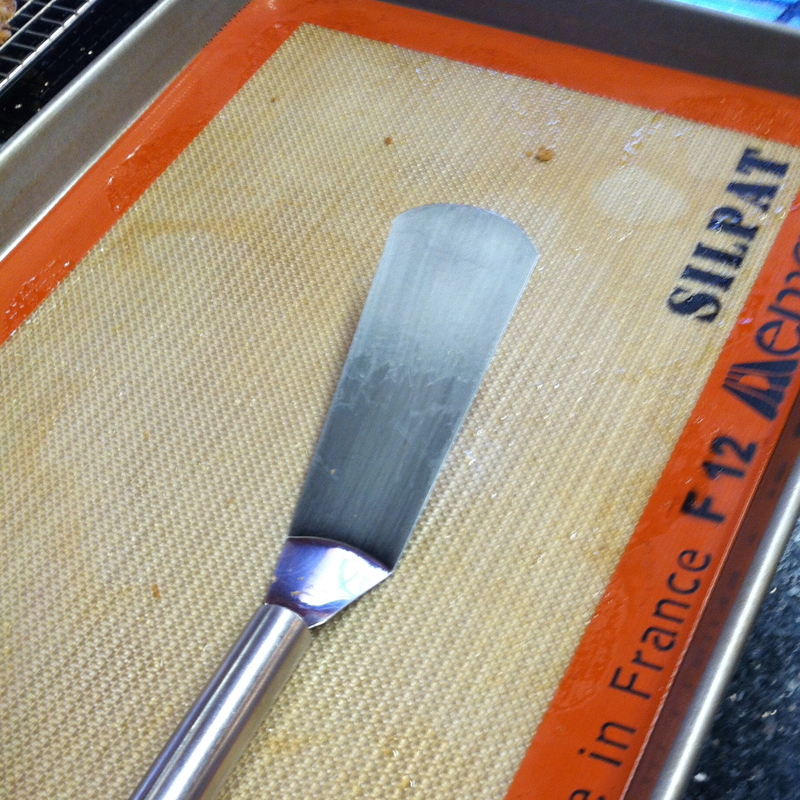 Chef Lisa reiterates, "I want to emphasize that any knife can be the best knife ever so as long as you keep them sharp." 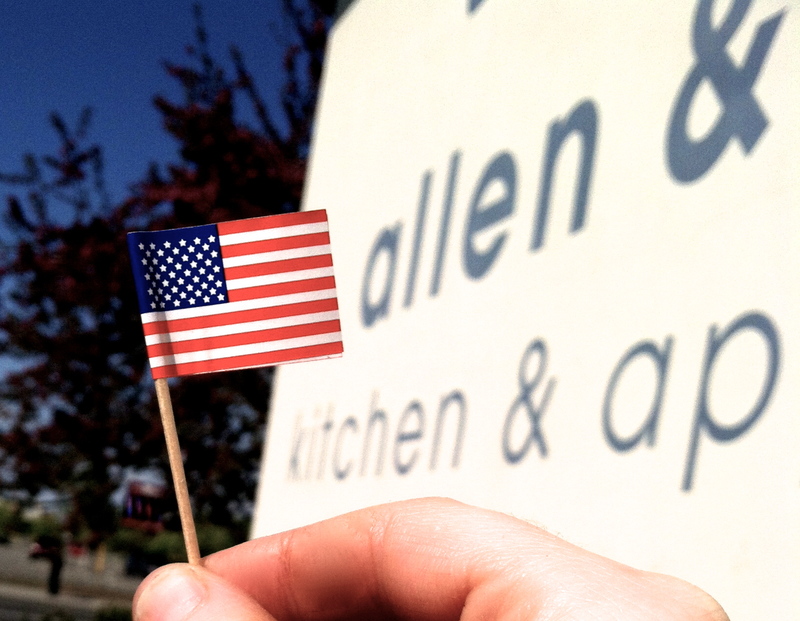 It is increasingly difficult to find kitchen products that are made in the USA, so we want to give a shout out to some of our favorite products from companies who are committed to quality, American manufacturing. 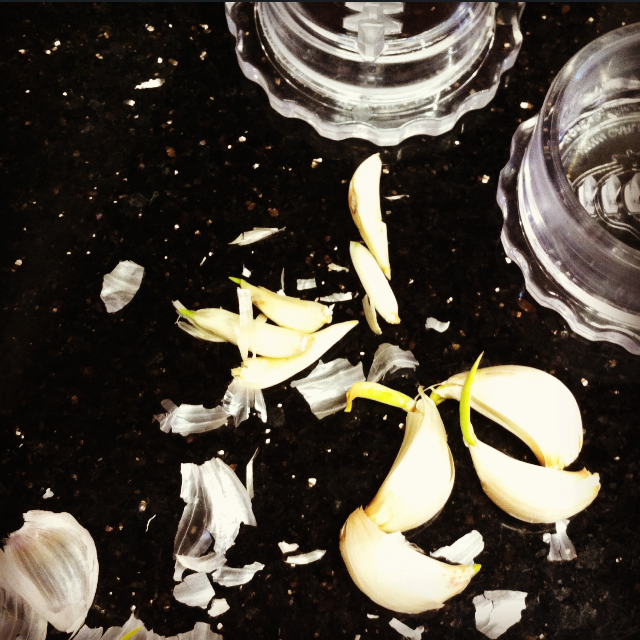 One of our favorite kitchen gadgets is the Garlic Twist, from NextTrend Products. 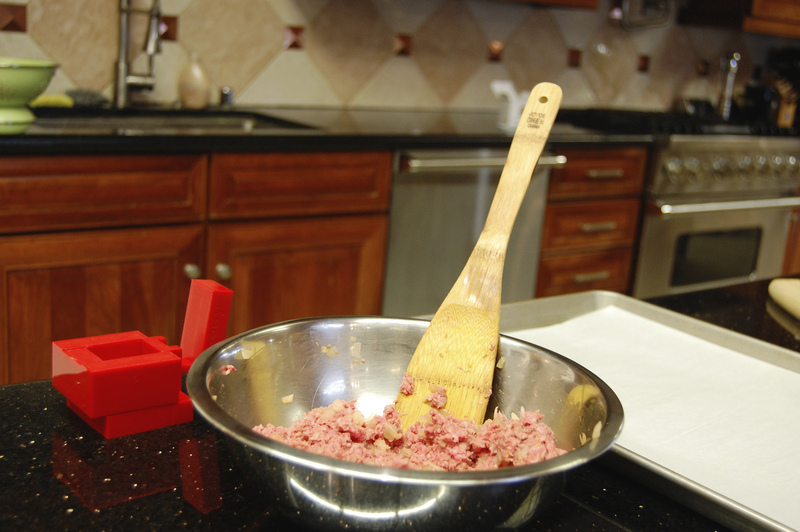 By now you’ve probably heard about this tool, used it in a cooking class, or maybe you’ve seen it sitting on our checkout counter in the kitchen store. We like to keep it there so we can show everyone who hasn’t heard about how great this tool is! Unlike the traditional, difficult to clean and somewhat unwieldy garlic press, the Garlic Twist is easy to use, and dishwasher safe. 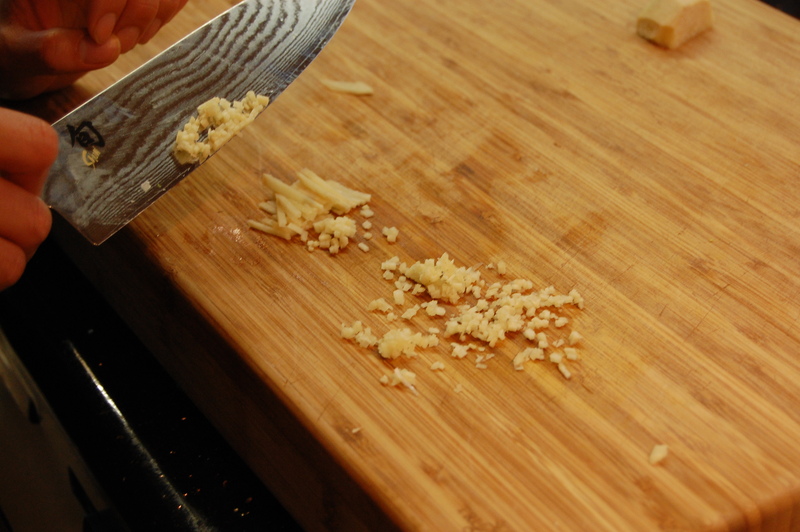 You use the base of the Twist to whack the garlic clove, making it easy to peel, and then stick your clove inside and simply twist to mince your garlic. This is fun for kids to use, too, when they want to help out in the kitchen. 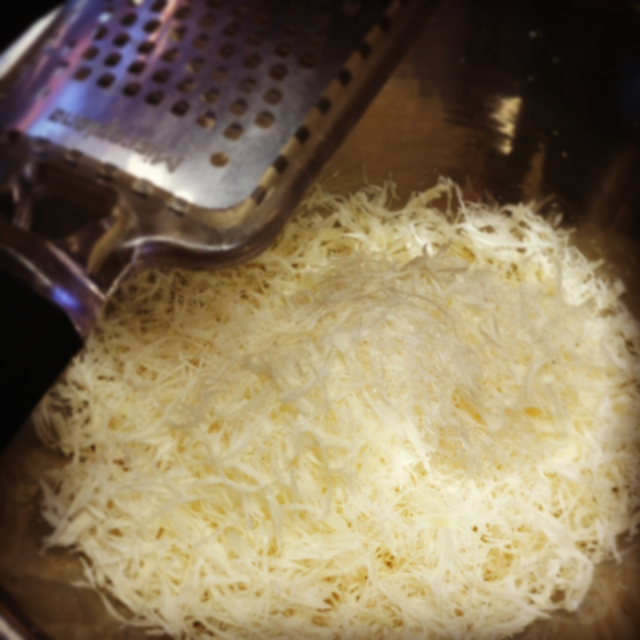 Another of our favorite USA made tools is the Microplane grater. These graters come in all different sizes and styles for whatever you are grating, from cheese to chocolate to veggies or nutmeg. They are razor sharp, and solidly constructed, which means they help you get the job done quicker and easier. Microplane graters came about from a housewife who borrowed her husband’s Microplane woodworking rasp to zest her oranges. 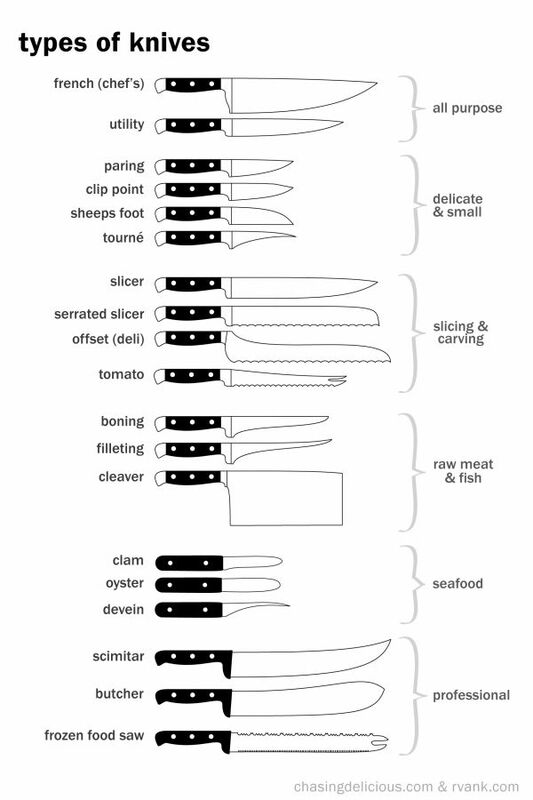 From there, Microplane expanded to include kitchen tools and has never looked back. If you haven’t tried these graters yet, you need to! 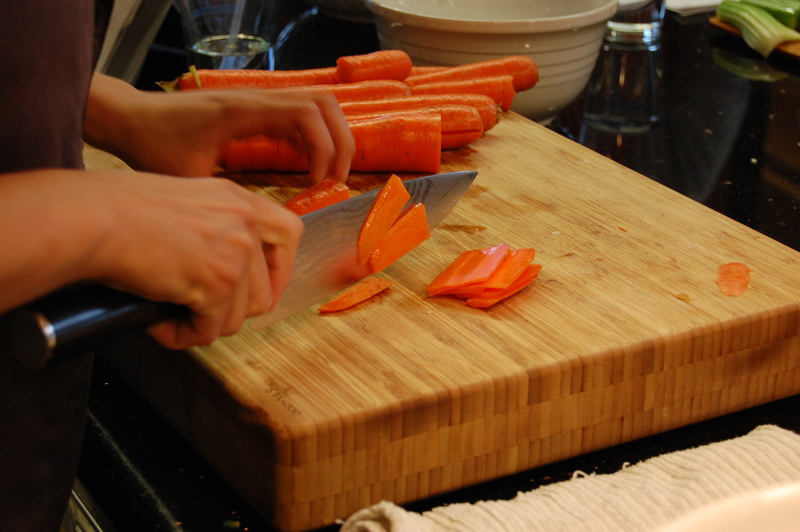 The last featured USA product is the Epicurean cutting board. These are our go-to boards because they are made out of compressed wood fiber. Not only does this make them more sanitary, it makes them easy to clean—can you say “dishwasher safe?” They are a hard surface, but not too hard for your knives. 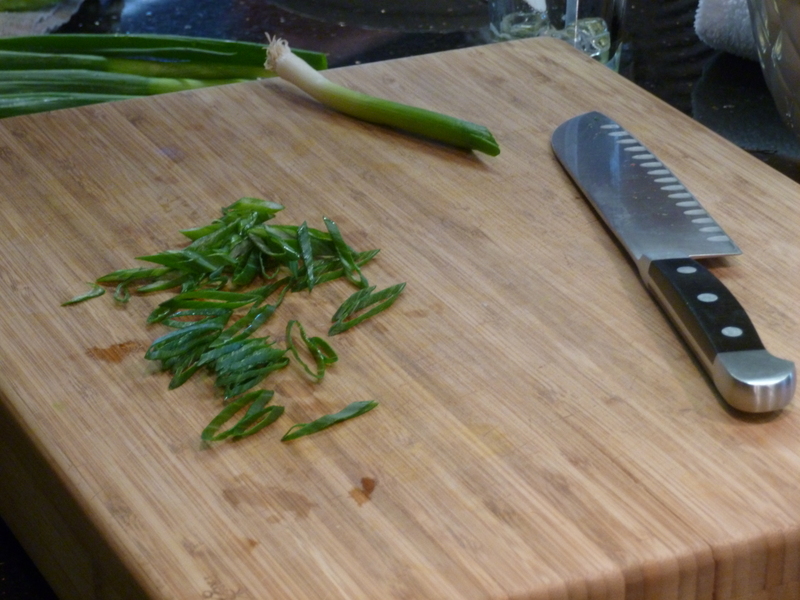 Unlike other wood cutting boards, you don’t have to worry about oiling, warping, or splitting. 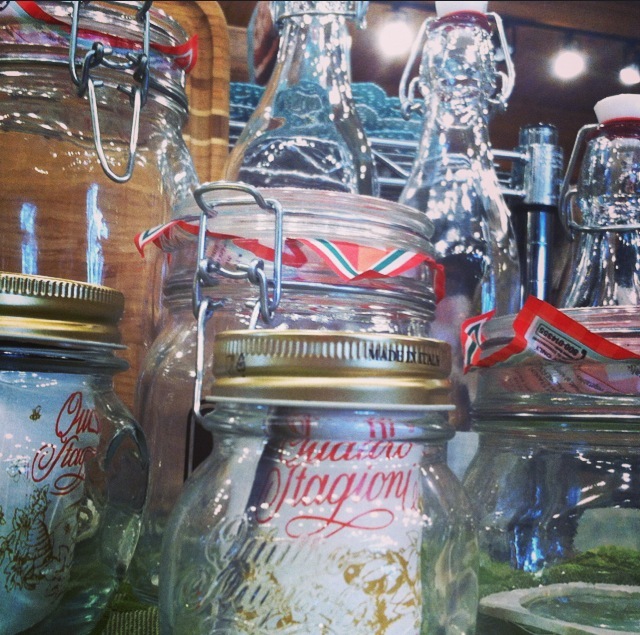 They come in all different sizes (and shapes) and look beautiful in your kitchen, as well as being functional. 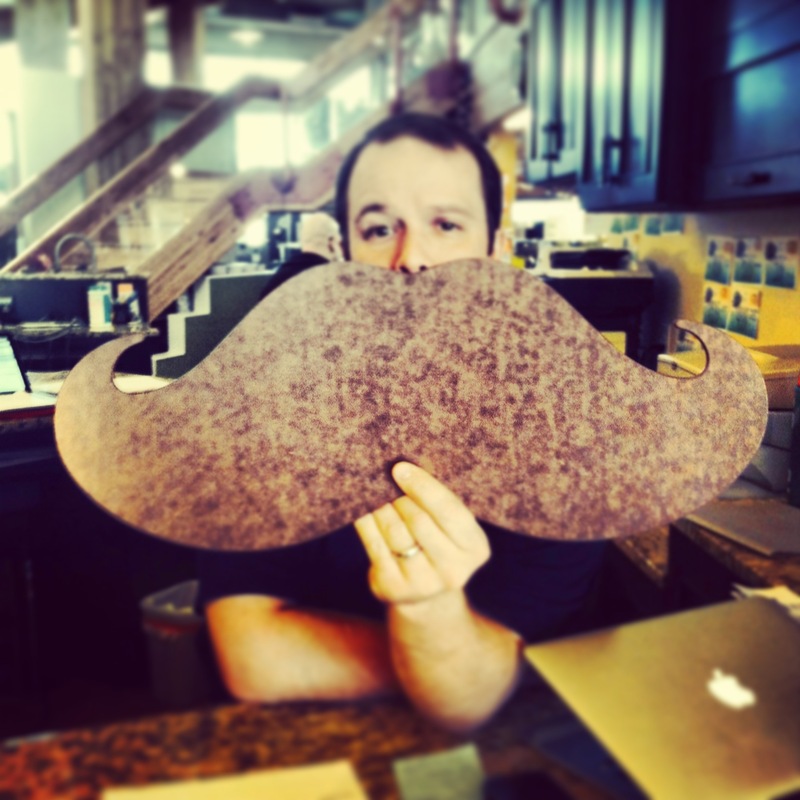 Come check out the pizza peels or mustache-shaped cutting board for Father’s Day gift ideas! These awesome kitchen gadgets are superior quality—and you can feel great, like we do, about supporting companies that are proud to be manufactured in the USA. 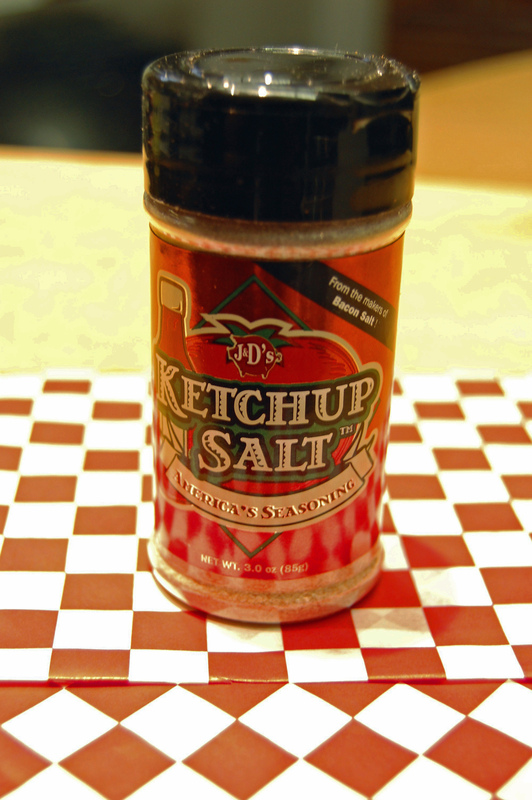 Not long ago, this request would have resulted in a two-handed pass of both the ketchup bottle, and the salt shaker - but no more! 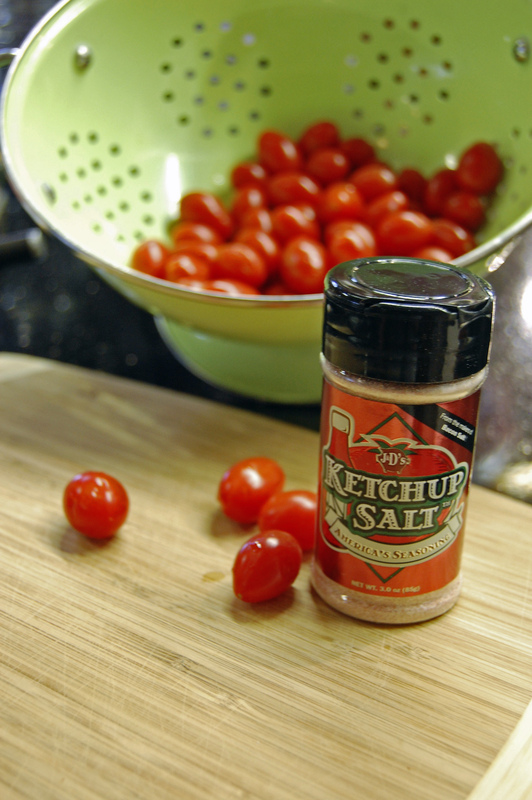 From the clever minds at J&D's Bacon Salt comes a new mover and shaker - the ingenious Ketchup Salt. When we got our first box of the stuff, we instantly started brainstorming what to use it on. 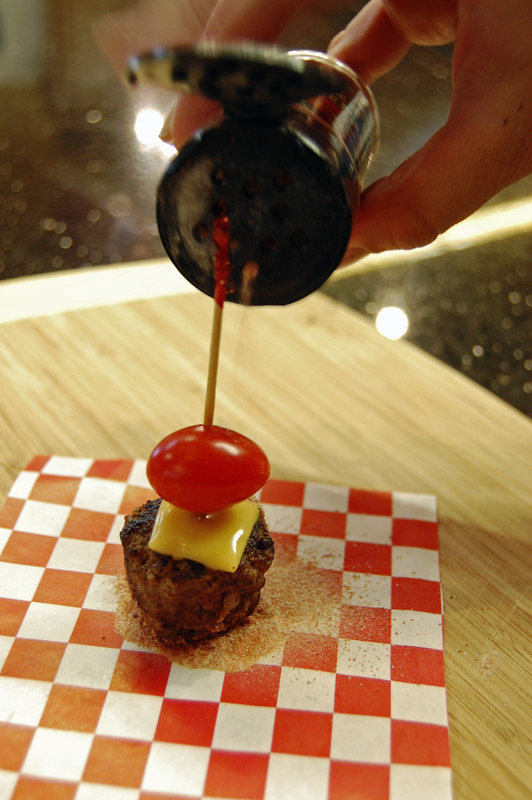 Fries seemed to obvious, chips too simple and so we dreamed up the 'Hip to be [Hamburger] Square' Appetizer! 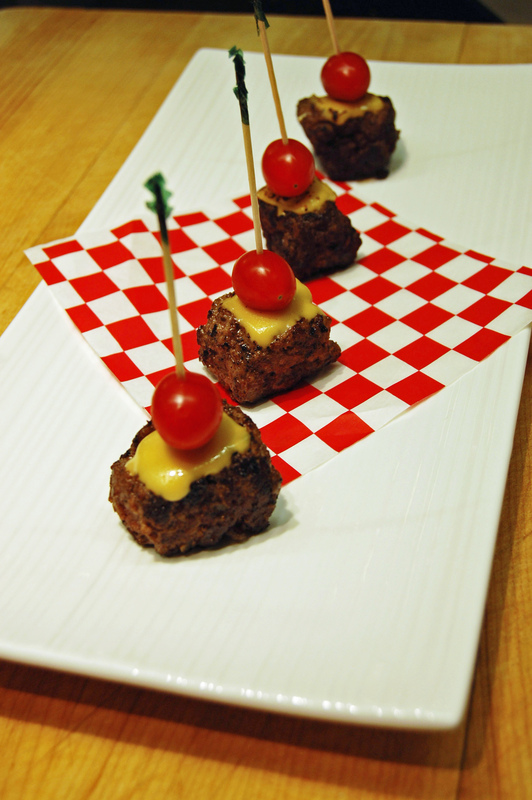 These mini burger cubes are a fun, cute, and delicious summer appetizer! 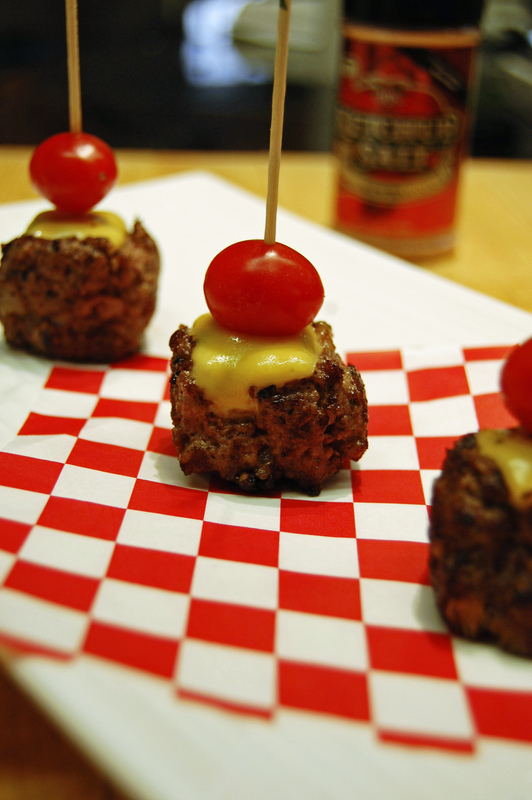 That’s right: we said “burger cubes.” With the help of our Rice Cube, we thought outside the box (er . . . cube) to come up with this fun appetizer idea. Here’s how we made these bites of cuteness. 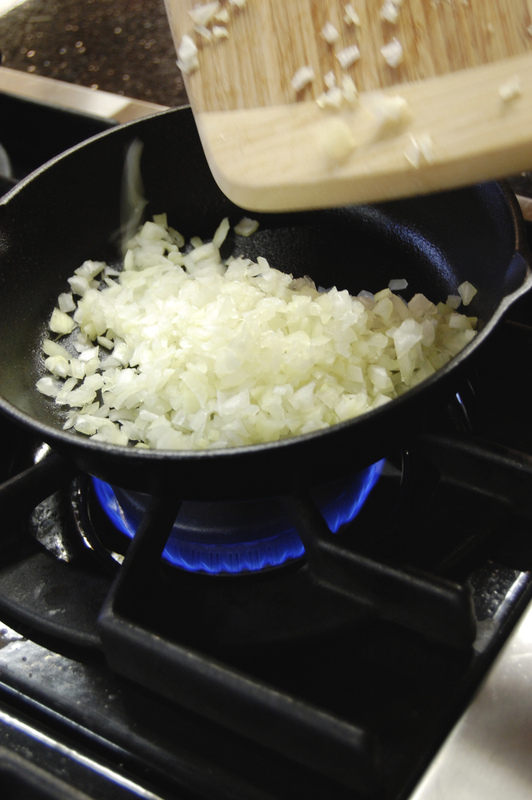 First, finely chop a white or yellow onion. 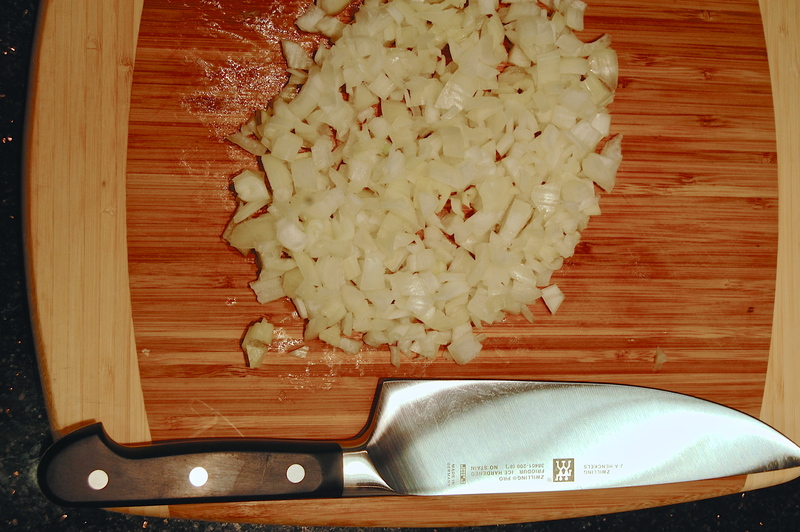 You can use a knife, like I did (check out that beautiful Henkel knife! 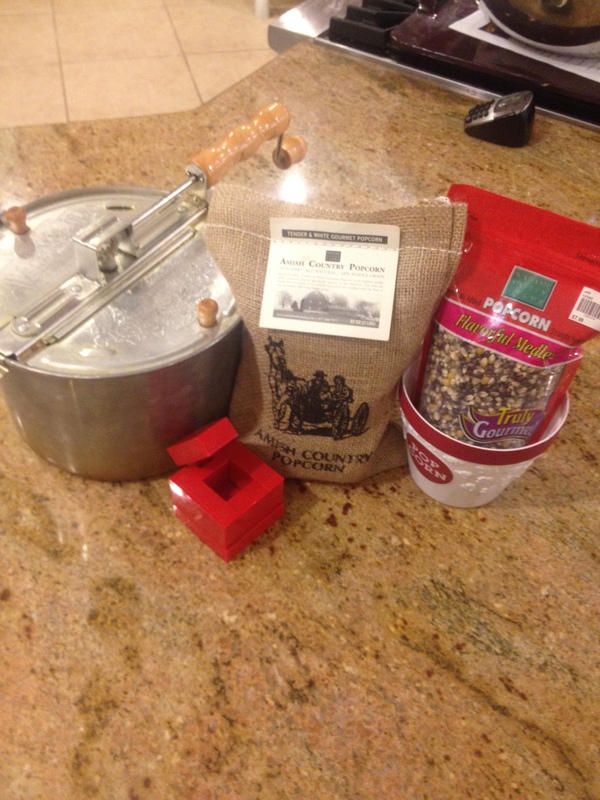 ), or you can give it a quick spin in your food processor. Cook the onions on medium heat just until clear. 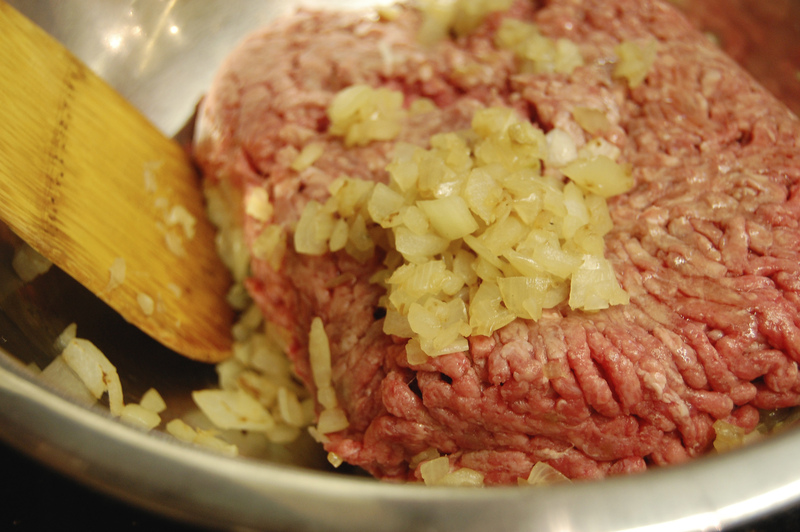 In a medium bowl, stir the onion with a pound of ground hamburger until uniformly combined. Use a portion scoop to fill the hole of the Rice Cube, and then squish it together, as pictured. 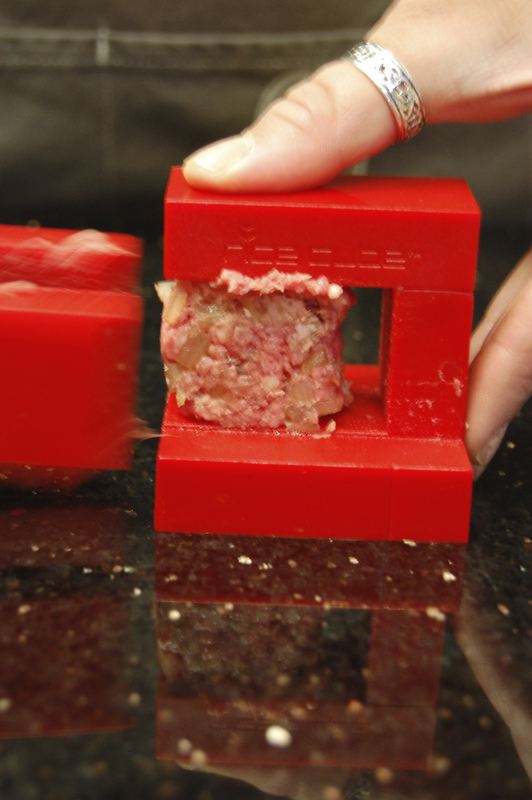 If you are planning to 'stuff' the bite, this is the point at which you could nestle your filling into the burger before pressing it into a cube. 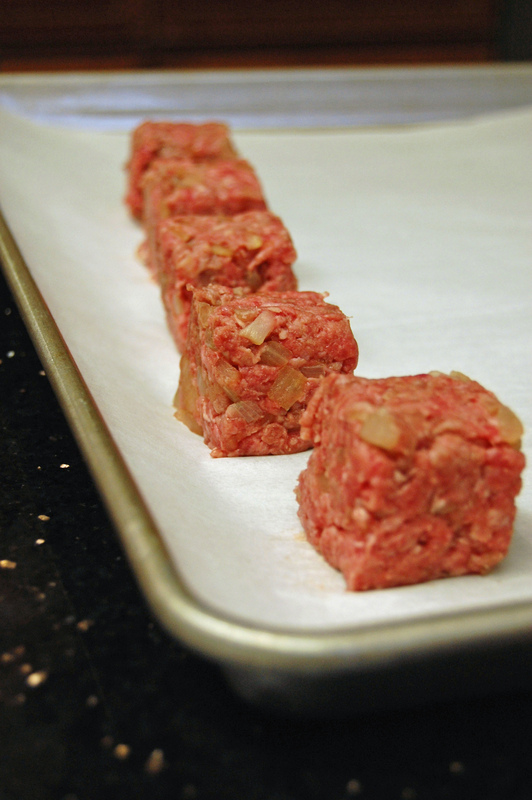 Carefully slide out the insert of the rice cube to remove the hamburger cube, and place on parchment paper. 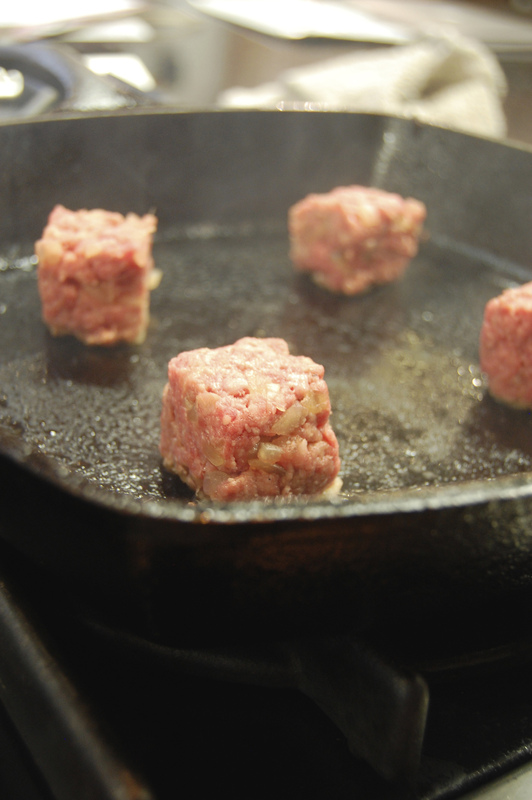 After you finish forming your cubes, it’s time to cook them up! 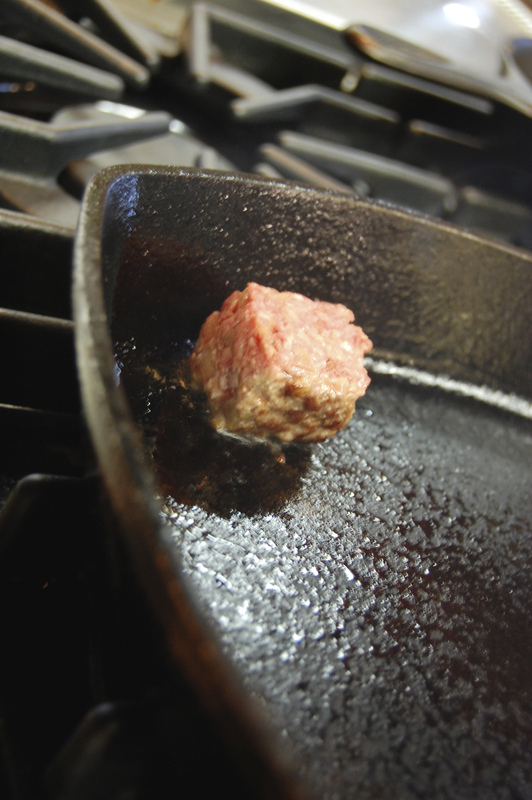 We used our lodge cast iron pan to get a great sear, and replicate the taste of grilled hamburgers. 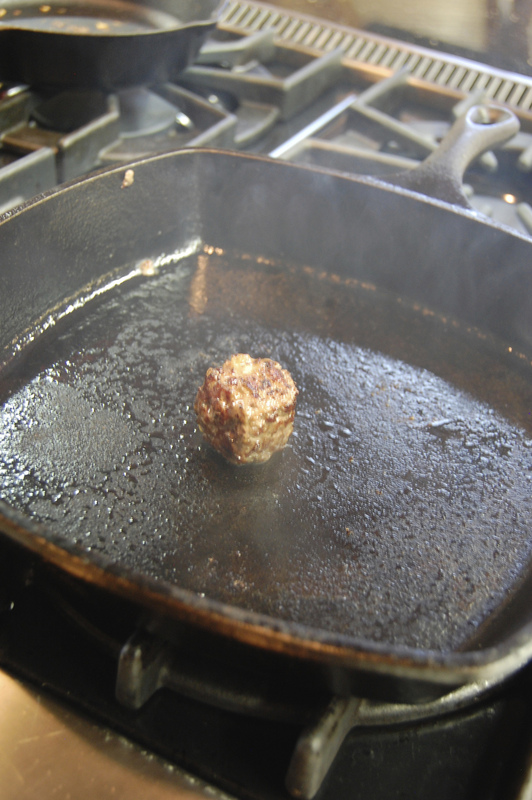 Carefully cook the cube on every side, allowing time to brown, and in between turning, place a lid or cookie sheet over the top to help the burger cubes cook on the inside. When cooking the last side, place a small square of cheese on top (if you want cheeseburger bites!). The assembly of these guys is where you can get creative. 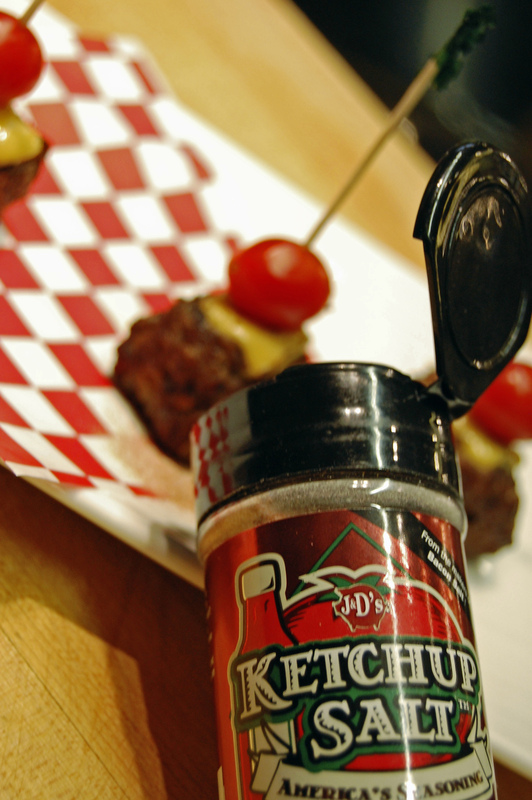 We kept ours simple to highlight the flavor of the ketchup salt (a fun seasoning that gives ketchup flavor to anything! ), with just a tiny square of cheese and a single grape tomato, but you could use avocado, mustard, a bit-o-bacon - perhaps stuffed with blue cheese or jalapeno jack . . . the possibilities are endless! 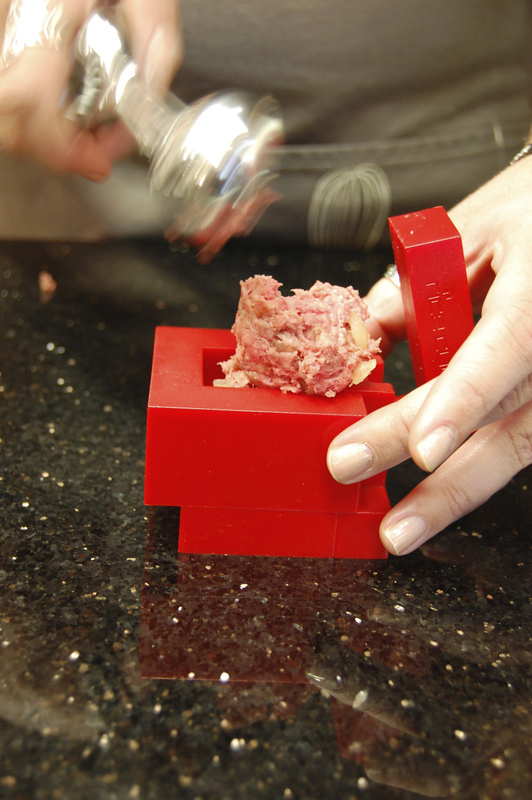 You could even have a mini burger bite bar, and let your guests assemble their own. 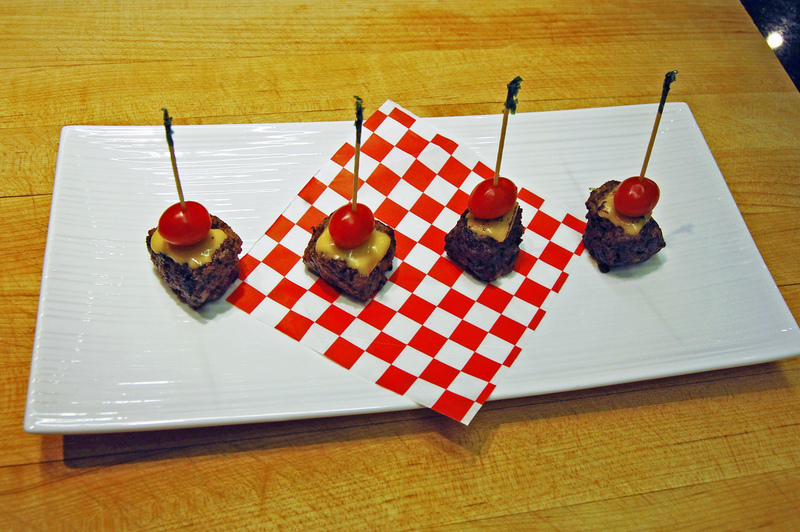 These little burger cubes are sure to impress your guests, and are a tasty bite size summertime hors d’oeuvres! Who would give a knife to their mom for Mother’s Day? Usually when you think of giving your mom a gift, knives are not the first thing to come to mind. Perhaps giving one to a man in your life seems a little more fitting - some big heavy German knife any man would drool over. Mom, on the other hand, loves to be in the kitchen but does not always need such a heavy workhorse of a knife - tiring her arm and giving her blisters while she chops, cuts and slices - unless of course, she's doing lots of butchering or boning, which should always be done with a metal blade. Each style of knife has its time and place, but if you want to help your mom with all her OTHER everyday tasks in the kitchen, then a ceramic knife is the way to go. 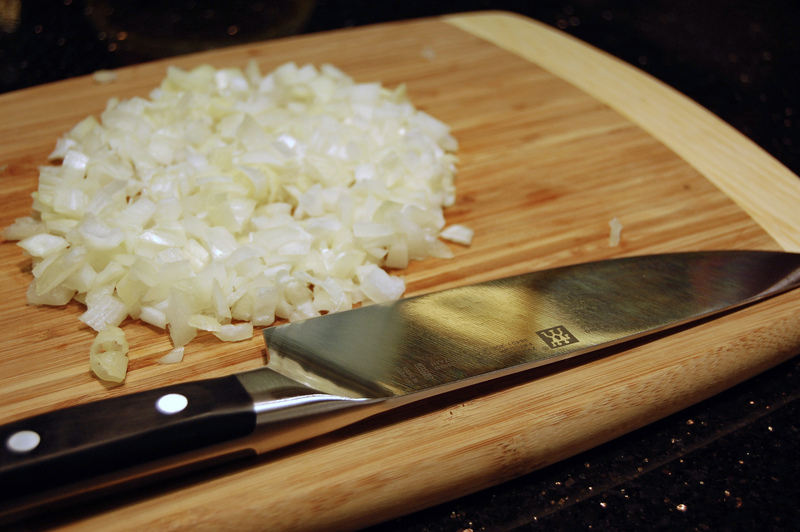 A ceramic chef's blade of equal size and shape, can be half the weight of most traditional knives. With a carefully designed smooth finish handle and balanced blade, Mom will notice the difference from the first time you put the knife in her hands. But just wait until she puts it to the test... Kyocera says it best: "It's when you actually try the knife that the ceramic advantage becomes real - an experience like no other." Even dense potatoes seem to turn to butter beneath the blade, and the same potato can be sliced paper thin with minimal pressure. Because they are so light, ceramic knives are exceptionally comfortable to use – even for lengthy, repetitive cutting tasks. Think 'Mom-powered tool' for the kitchen. The Kyocera line of ceramic knives come in several different sizes for any task in the kitchen and even more color combinations! From Santoku in Orange to Paring in Pink - they even offer a sleek black in some of the blade shapes, and white bladed chef or paring knives in any color of the rainbow. The best part is that if anyone challenges mom’s fortitude in the kitchen and thinks she needs to use a steel knife to get the job done, she can remind them that the razor sharp ceramic blade stays sharper 15 times longer than a steel blade. Additional advantages to a ceramic blade include that it is rust proof, impervious to acids and oil and it will never brown foods or leave a metallic taste or smell. All of which means she can even use it to cut lettuce or apples and it will not turn the lettuce brown or dull if you use it to cut acidic fruits like lemons, limes or tomatoes. So with a sharper blade, longer blade life, lighter weight and ease of cleaning – why not be that person that gets your Mom a ceramic knife this Mother's Day? ...You can even choose a color to coordinate with her Kitchen Aid Mixer! 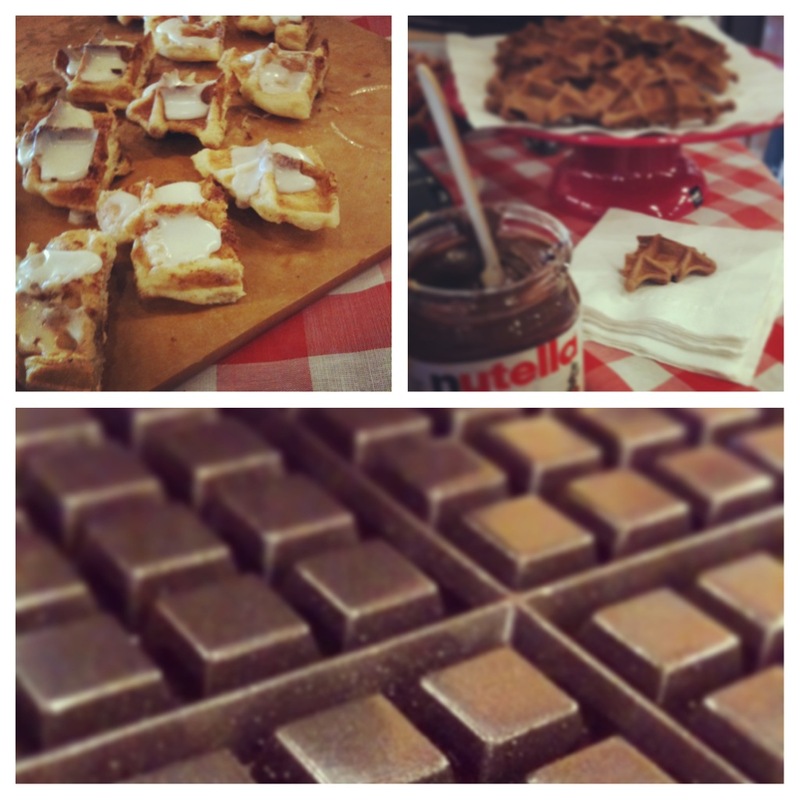 We love a good holiday, especially those involving food. And so when we found out it was Oatmeal Cookie Day (April 30th), we knew we'd better give them their proper celebration (even though we'd just partied with them last Tuesday, and the Friday before that - hey, don't judge - they're just that amazing) Plus, with Mother's Day so close at hand, we decided to bring out the Queen of Oatmeal Cookies - the crisp, lacy elegance that is the Buttery Oatmeal Crisp. The first time I had one was from a Cookie Exchange Platter at Christmas time. It wasn't like any oatmeal cookie I had ever seen (picture the pale, globby raisin filled variety from the elementary lunch line). It was thin, crispy, perfectly round and a shiny golden brown - like a mini spun caramel saucer. While elegant to look at, they are equally as nice to bite into. 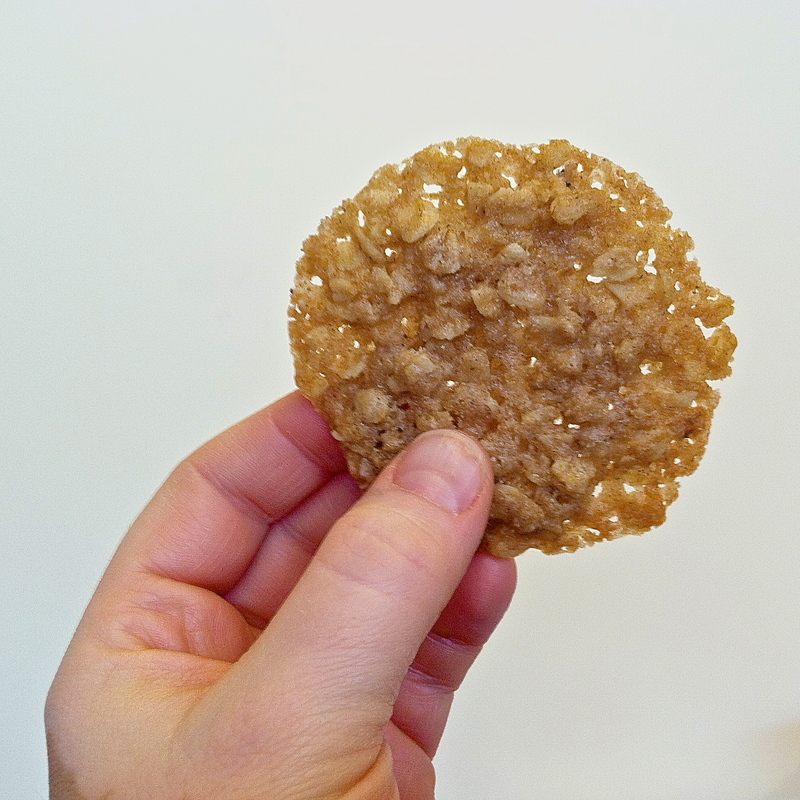 With A base of butter and golden sugars holding together those wafers of oatmeal you get just the right brittle crunch with plenty of texture and loads of flavor. Easily make them extra special with a simple drizzle of chocolate, sandwiched with Nutella, or by themselves as an accessory to a simple scoop of ice cream - and because they come out of the oven pliable, and cool crisp- you can even drape them over a small prep bowl or muffin tin to make a sweet and edible dessert bowl. The rim can then be dipped in white or dark chocolate and again into sprinkles or shimmer sugar. The key to the whole process is using the right tools - as seen in the video. 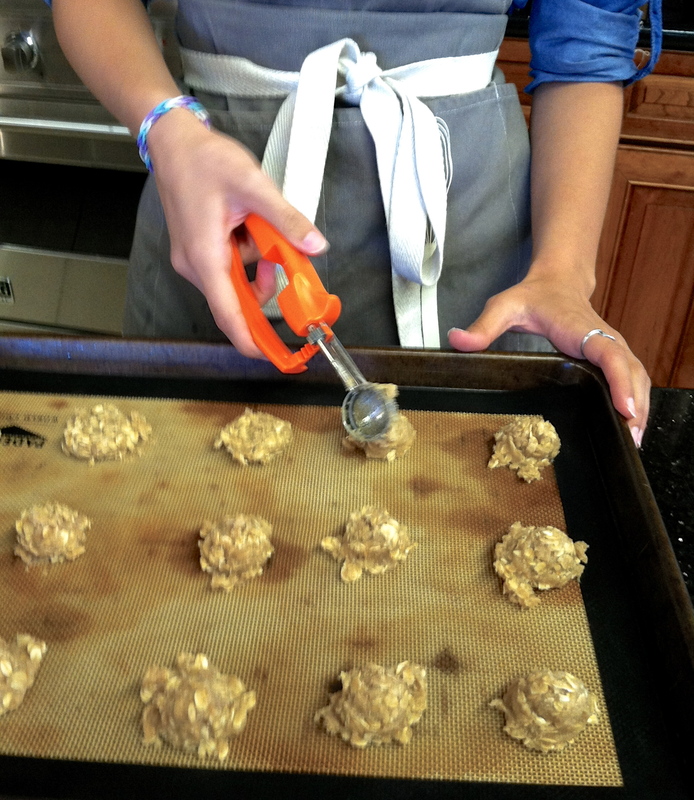 A cookie scoop for uniformity and a Siplat for clean-ability will make all the difference in the world when it comes time to remove the cookies from the pan. Also having a nice large cooling rack allows the cookies to cool to a complete crisp on both sides. Use a small scoop for individual crisps, or jump up a size for a bowl. 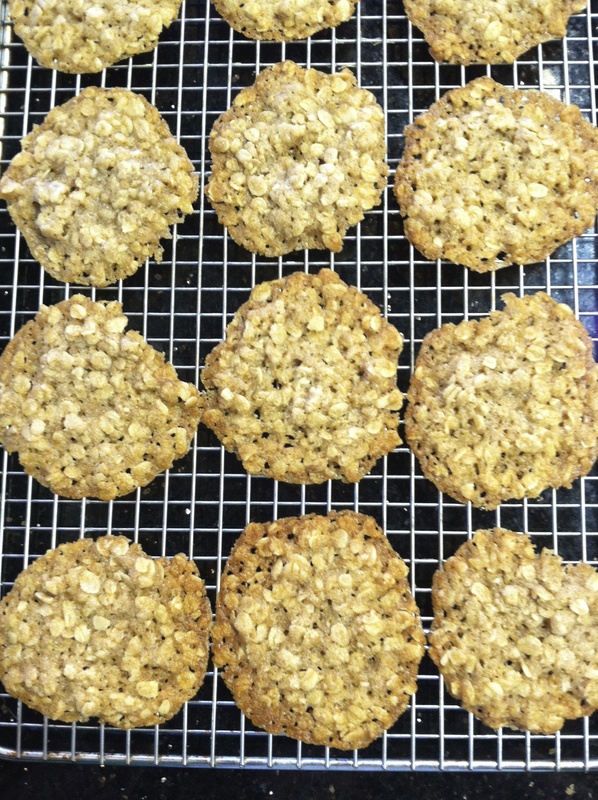 Anyway you serve them, Oatmeal Butter Crisps make a lovely end to any special occasion - so whether you plan to celebrate with Oatmeal Cookies everywhere - or just put this recipe in your pocket for Mother's day - remember this delicious grown up version of a classic favorite! Either way, you should probably go ahead and start practicing now - Mom will be so proud! Preheat oven to 350 degrees. 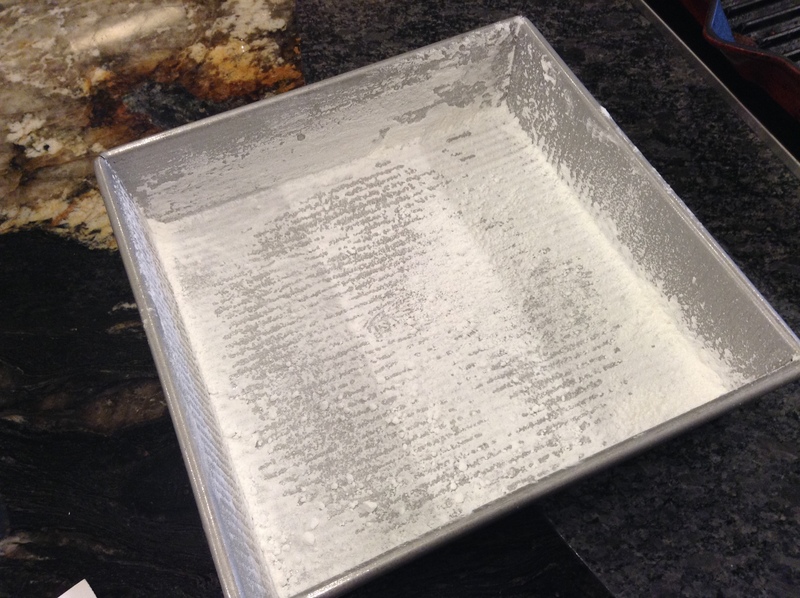 Line cookie sheet with a Silpat baking mat - this makes removing the cookies simple and clean up is almost effortless. In a large bowl combine oats, sugar, flour and baking powder - set aside. In another bowl, combine melted butter, corn syrup and cream. Add butter mixture to oat mixture and stir until combined. 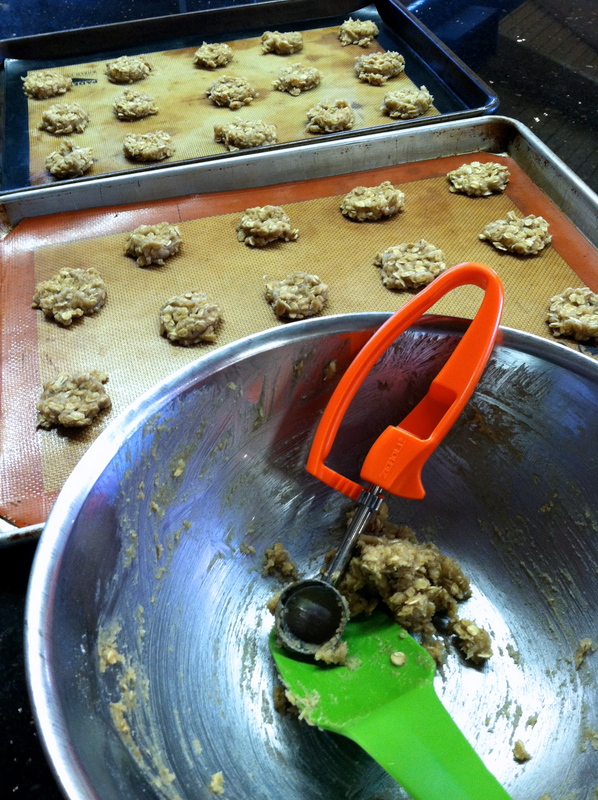 Drop dough by rounded teaspoons, 3 inches apart onto prepared cookie sheet. 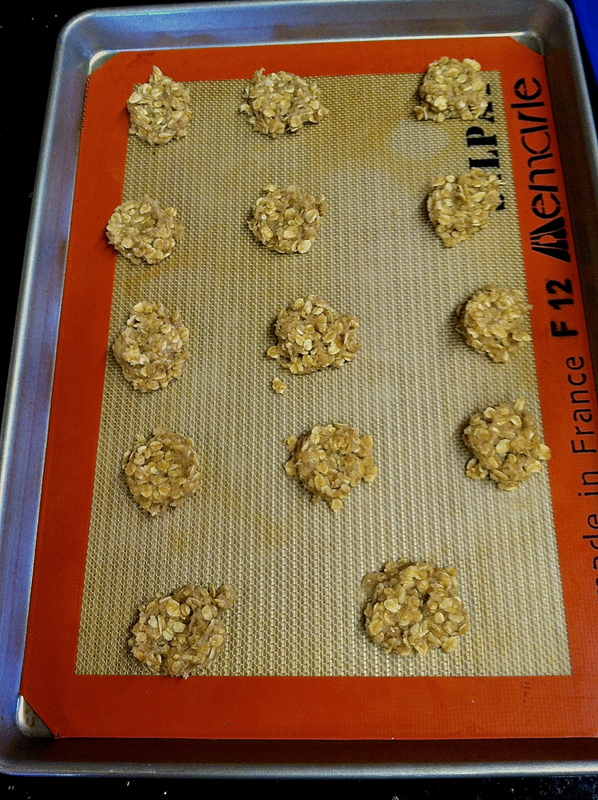 Bake 10 -12 minutes on cookie sheet and then remove to cooling rack. Drizzle with melted chocolate and serve upright with a lovely scoop of ice cream or gelato. and after - just the shine of the buttery goodness remains = cinchie clean up! There is nothing worse than a bad blender. We’ve all had them—the blenders that can’t even handle crushing a few ice cubes for a smoothie. The first thing to look for a in a 'good' blender is metal on metal gears, rather than the oft-found metal on plastic gears. In this, and every other category, the Vitamix 750 gets an A plus in my book! I use the Vitamix for smoothies, sorbets, soups, purees, hummus, nut butters, and almost anything else you could think of! The recipe book included with the Vitamix, featuring recipes from Chef Michael Votaggio—everything from a blackberry pear smoothie to red pepper walnut pesto—shows just how versatile this machine really is. A four tip blade, metal gearing, 2.2 HP motor and programmed ramp-up setting mean you can make scoop ready treats with one button ease! The Vitamix 750 includes five pre-programmed settings for smoothies, frozen desserts, soups, purees, and my favorite, a self-cleaning button. Unlike a lot of products that boast “self-clean” settings, this one actually works! Even when we made super sticky peanut butter in the Vitamix, some soapy water and a whirl with the self-clean setting left us with a sparkling blender jar, ready to use for the next recipe. The question I get the most often about the Vitamix is, “Why pay $649.99 for a blender?” Well, with its versatility, full 7-year warranty, and super handy pre-programmed settings, the Vitamix 750 is an investment that I can recommend whole-heartedly.